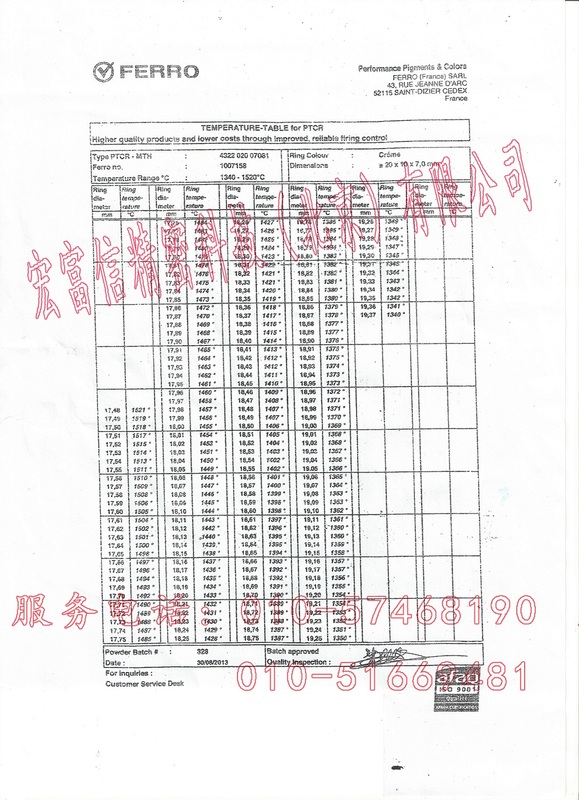 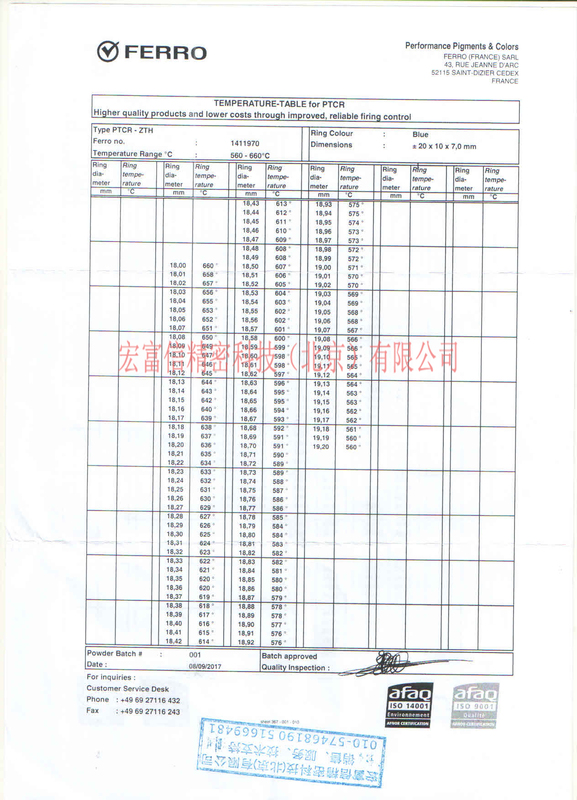 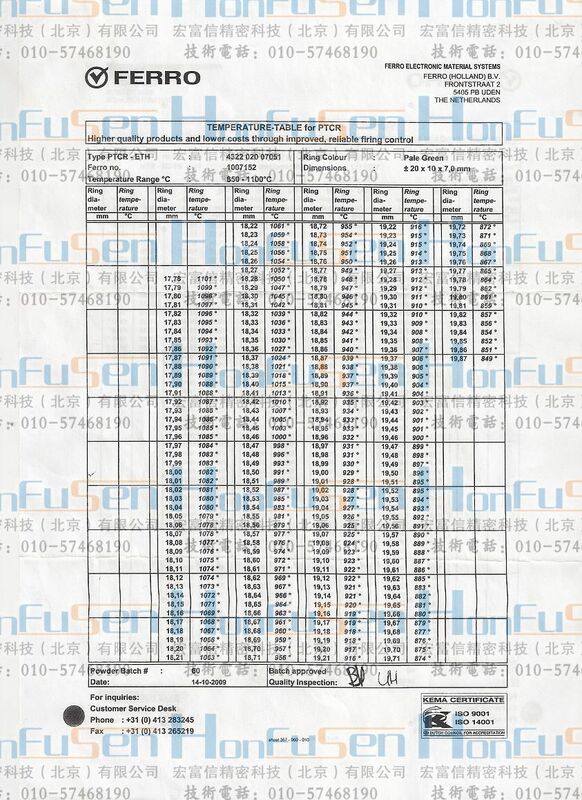 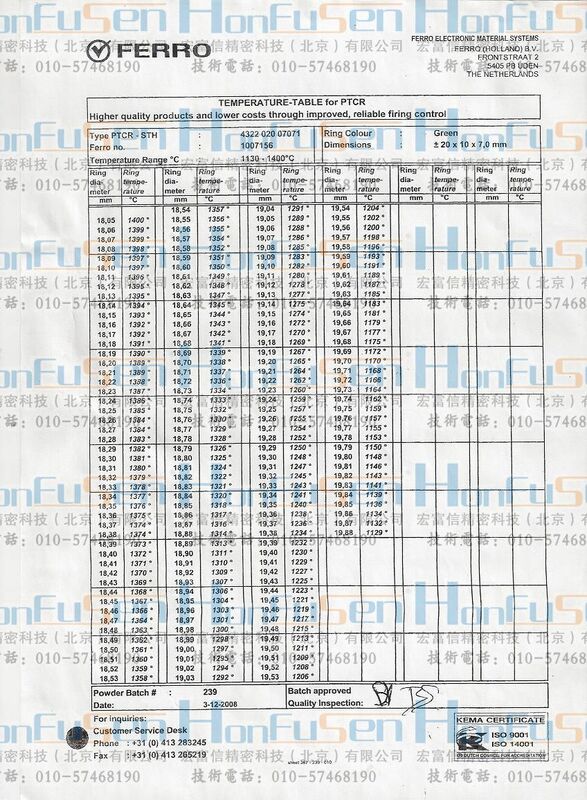 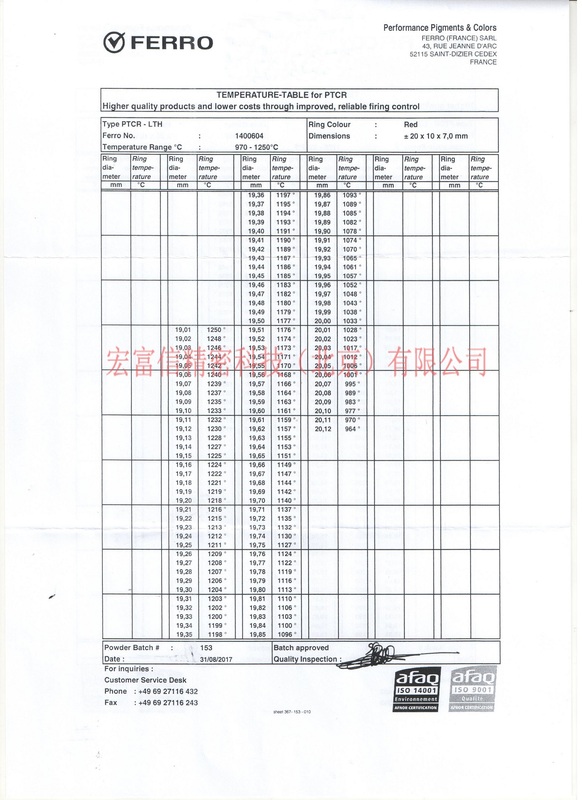 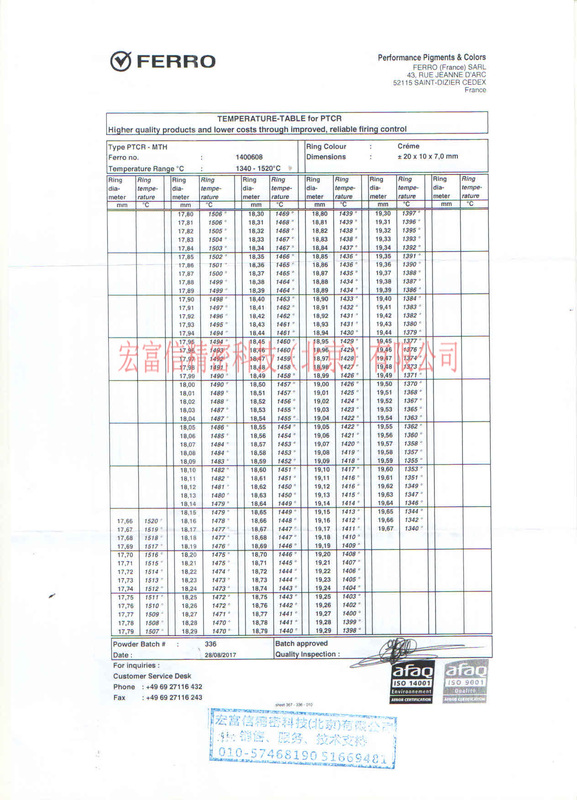 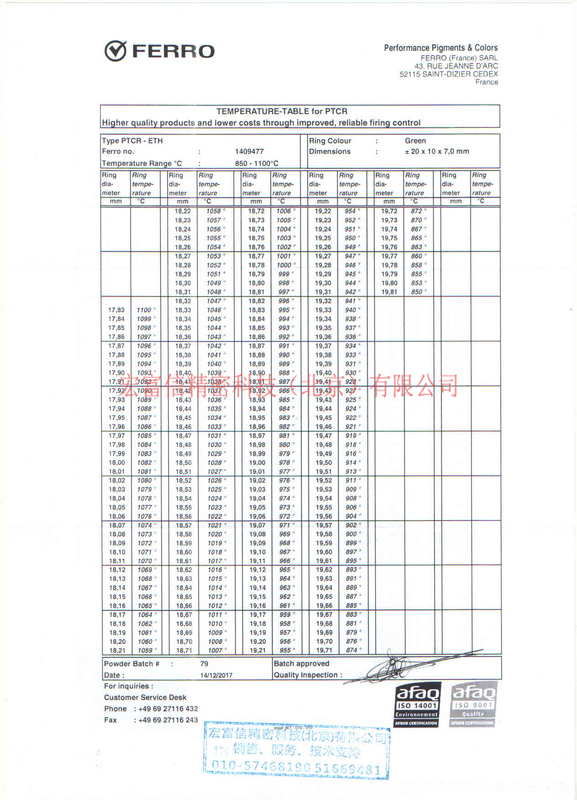 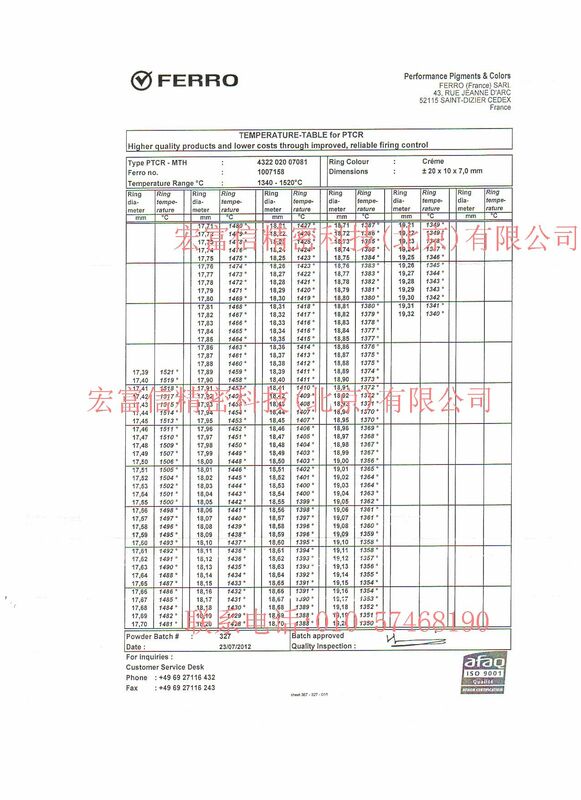 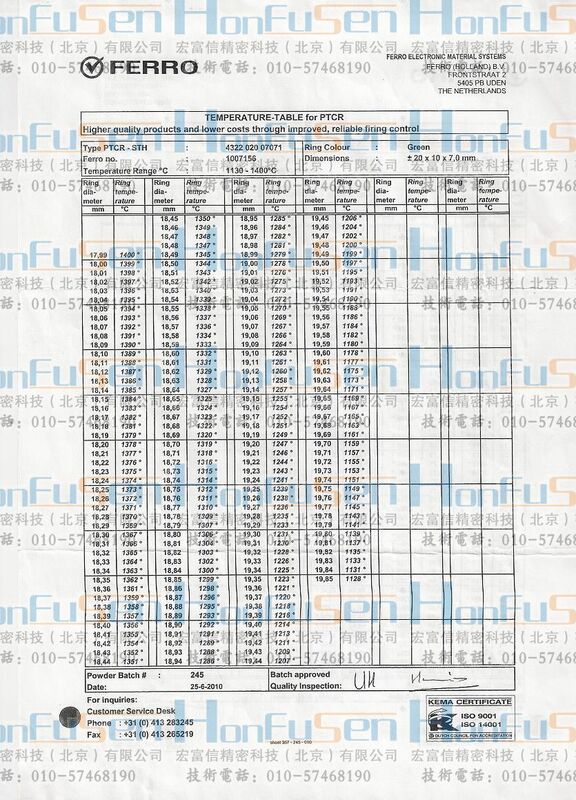 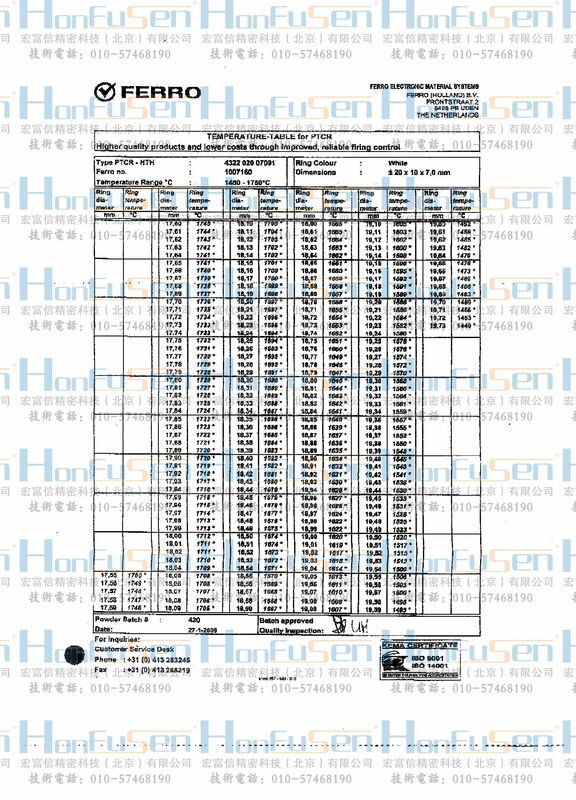 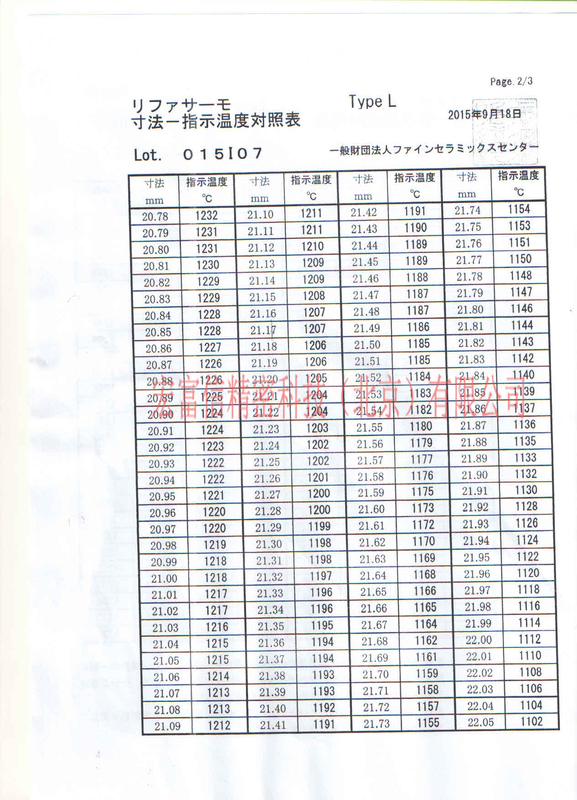 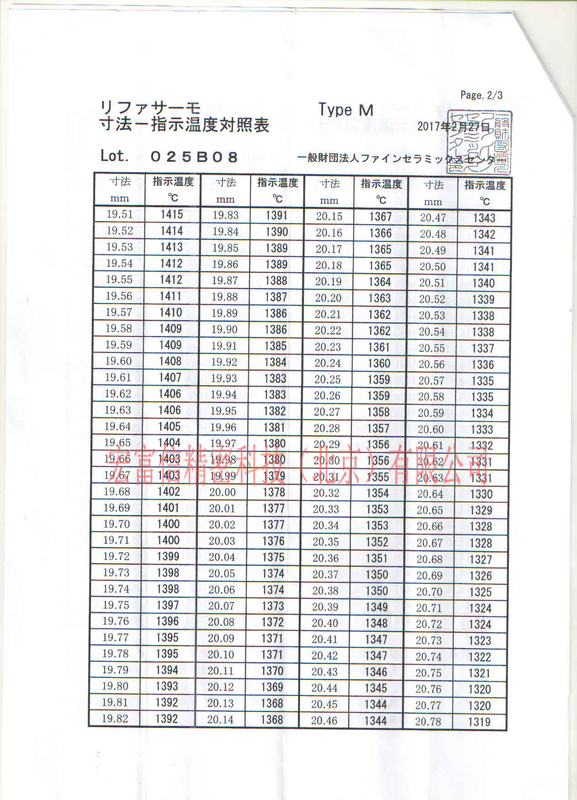 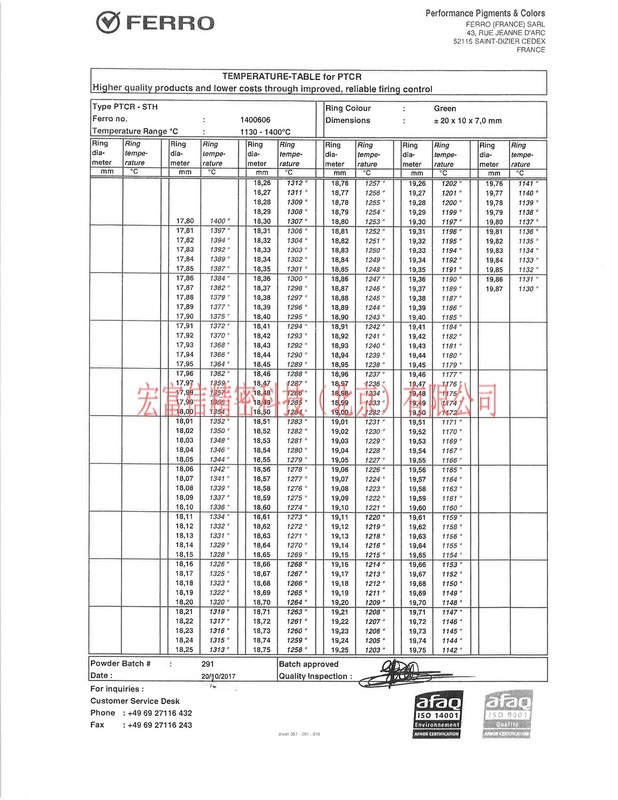 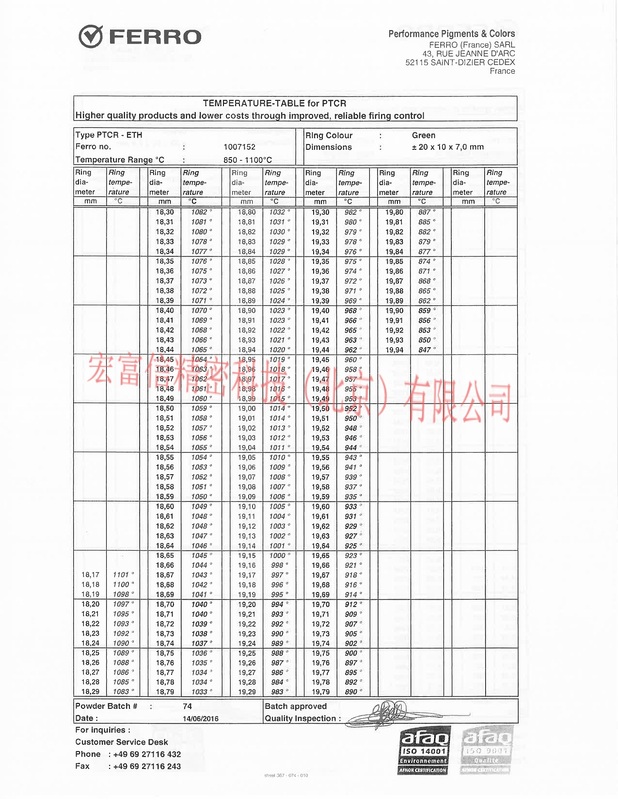 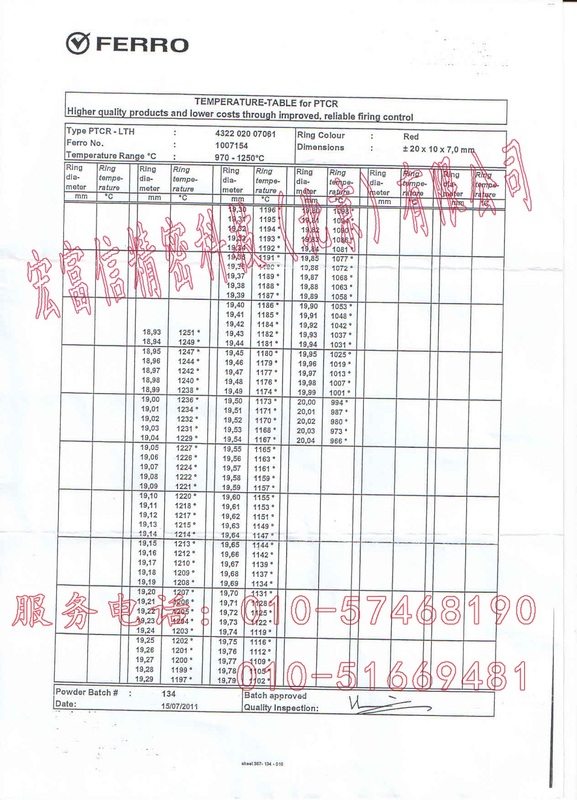 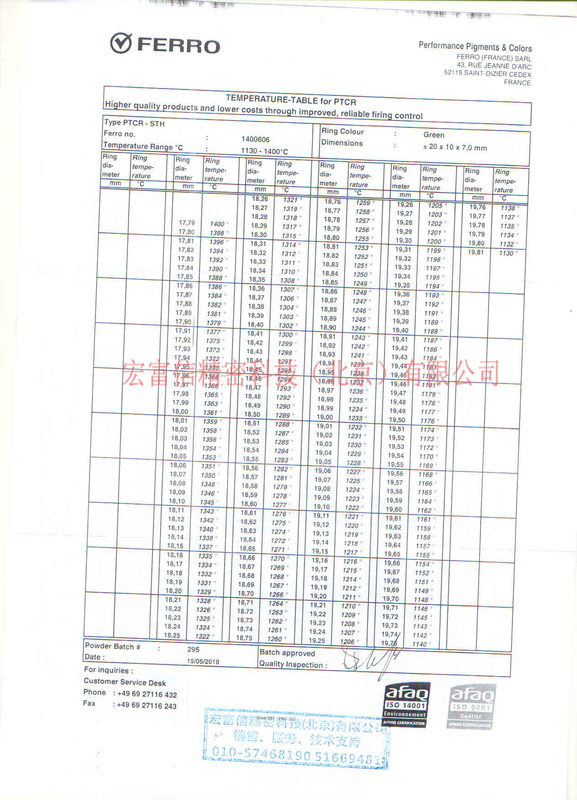 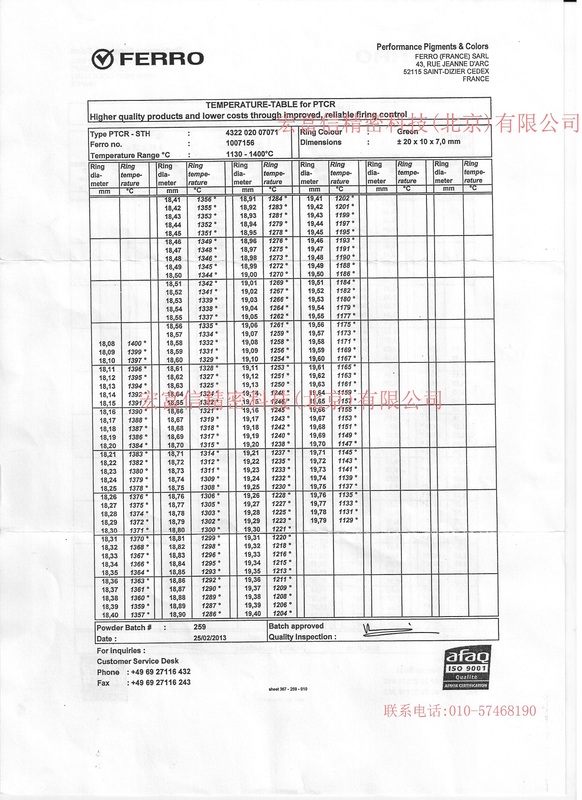 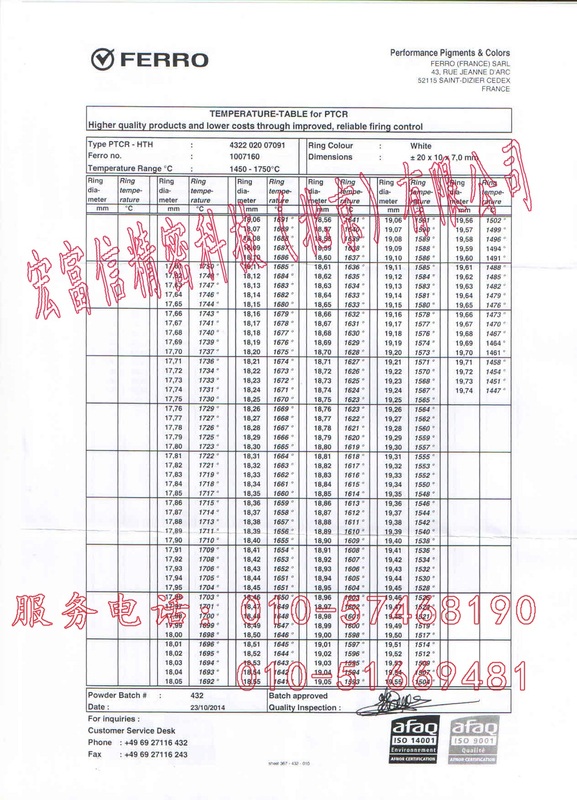 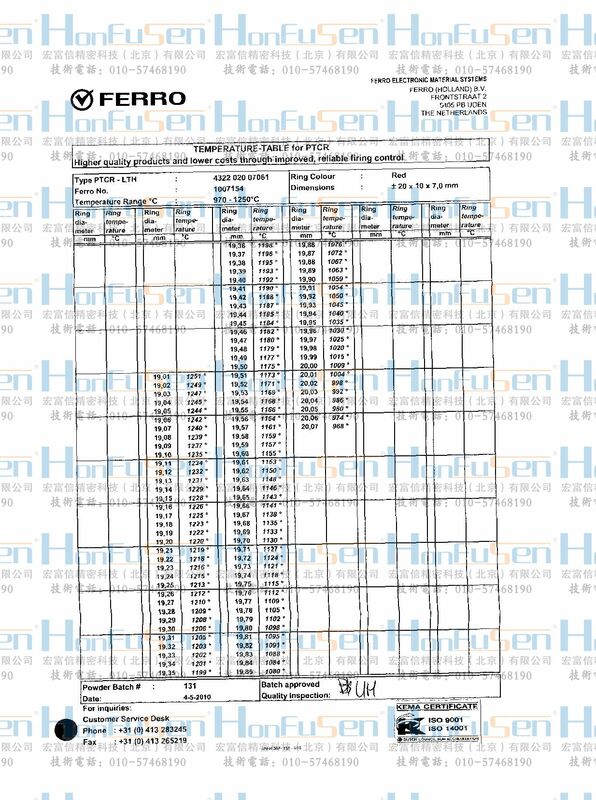 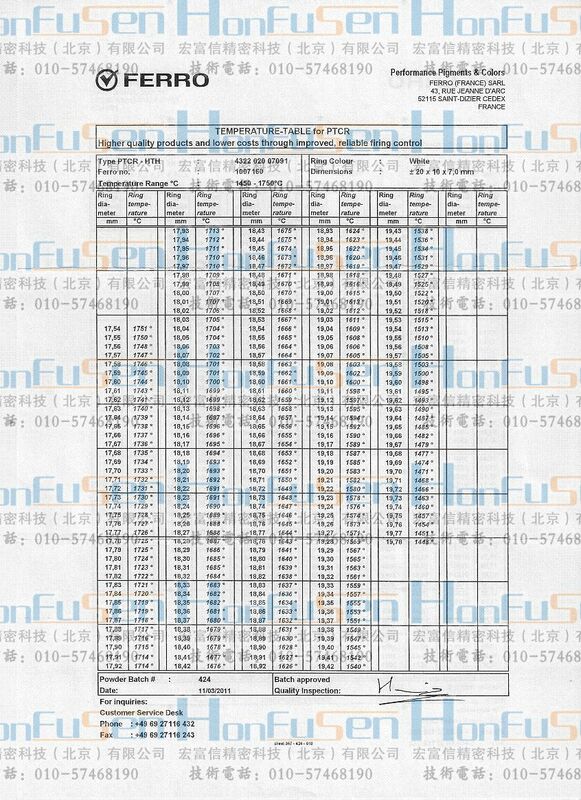 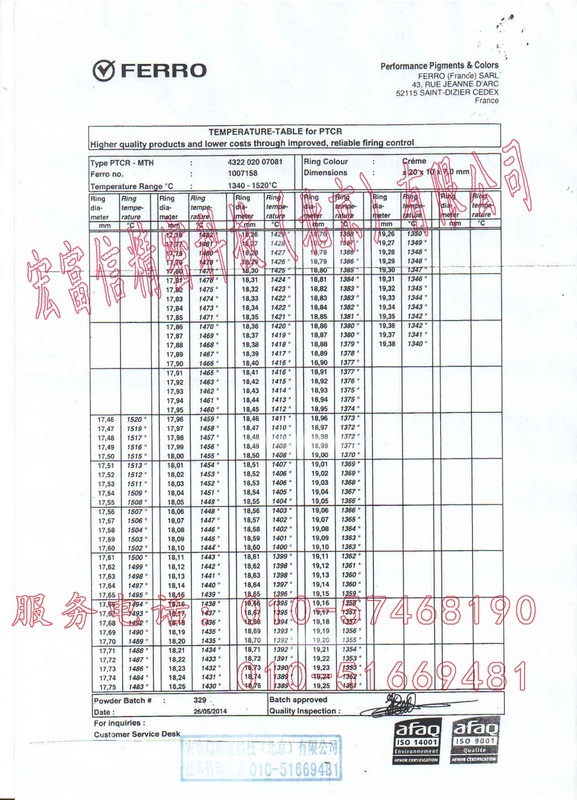 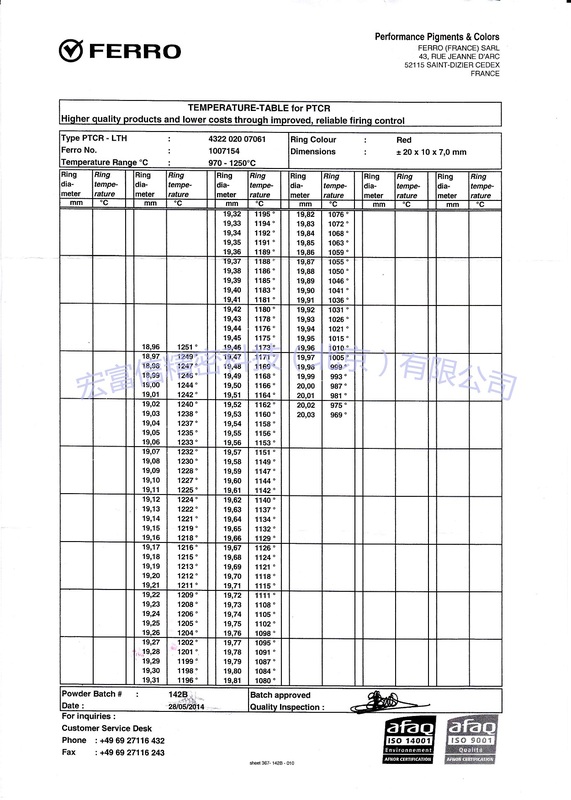 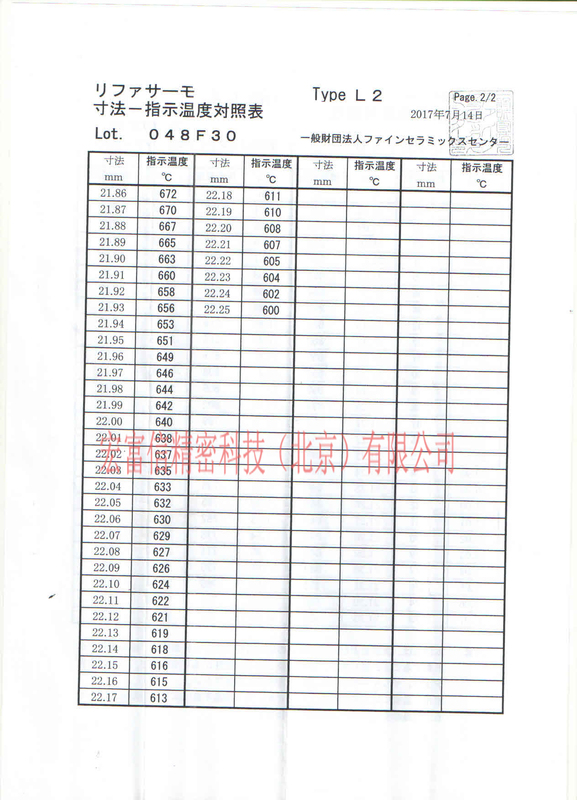 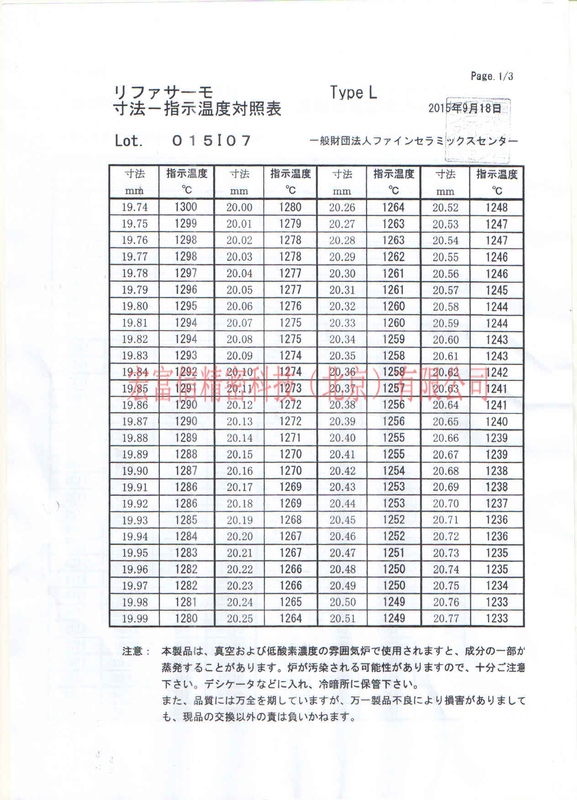 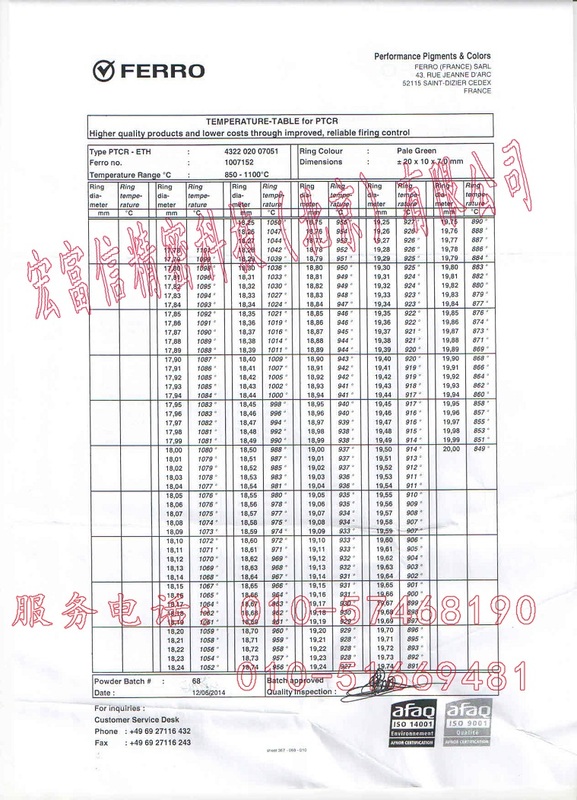 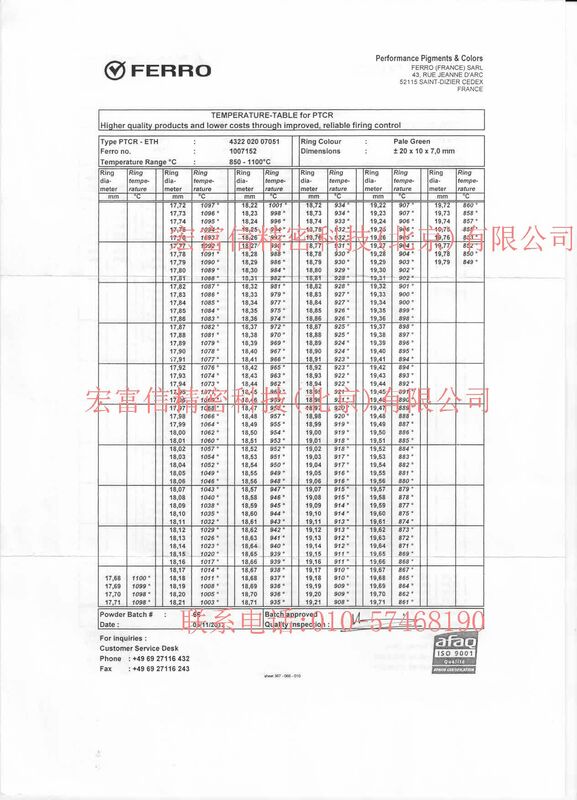 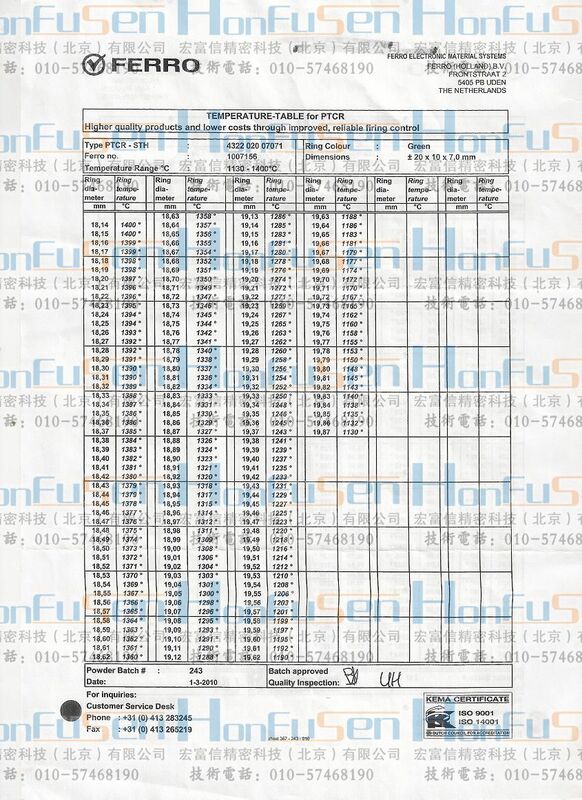 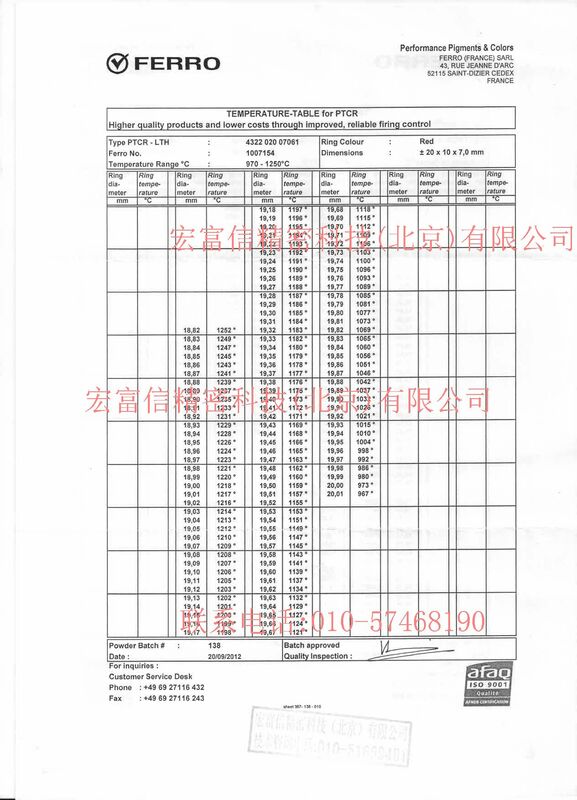 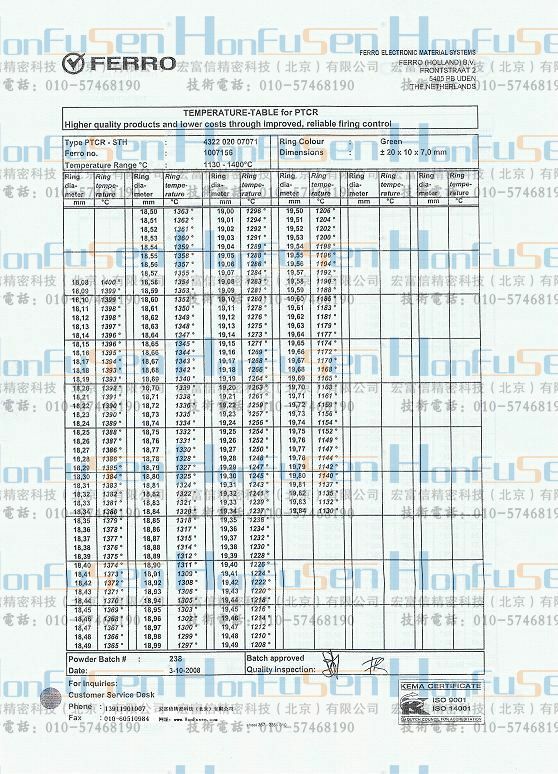 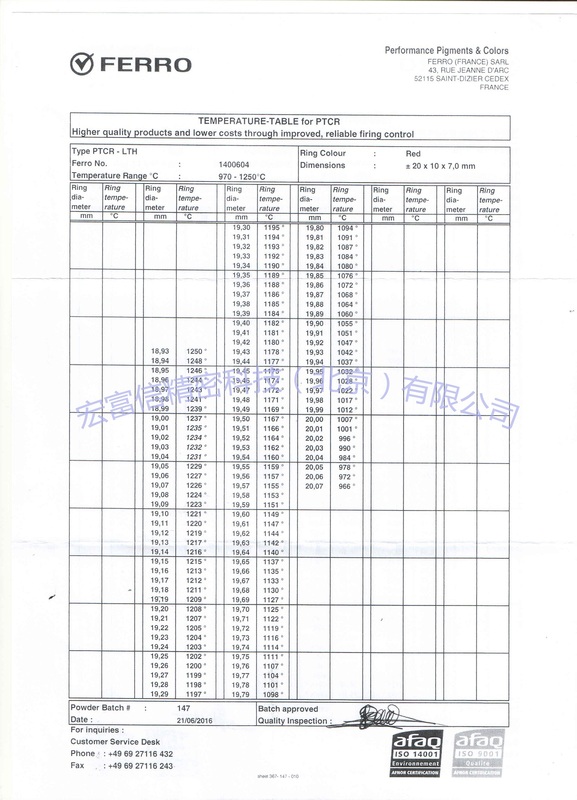 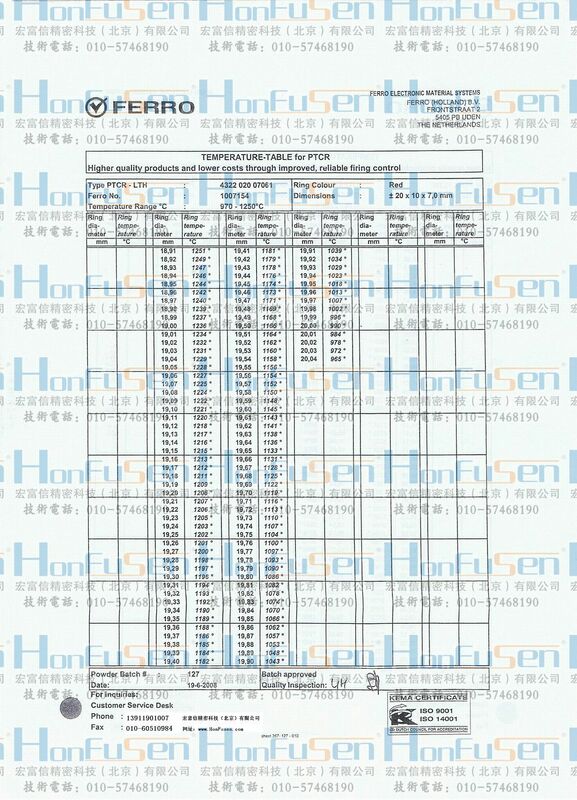 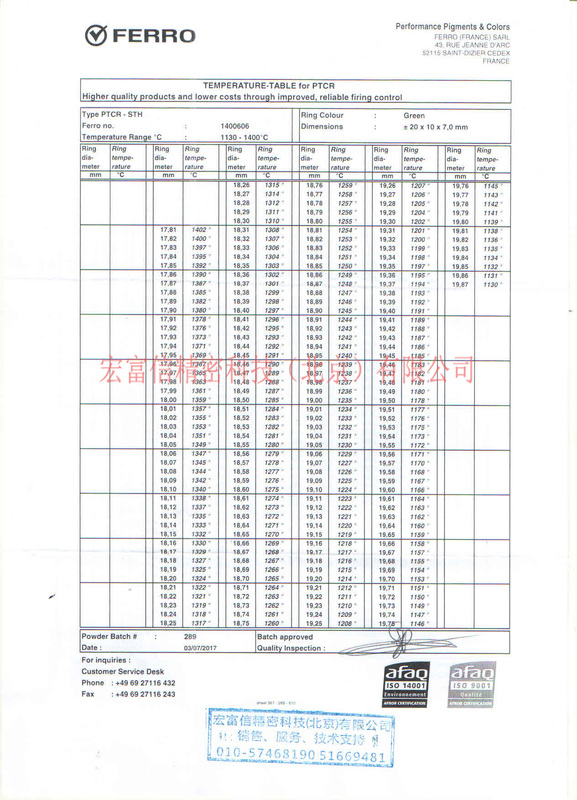 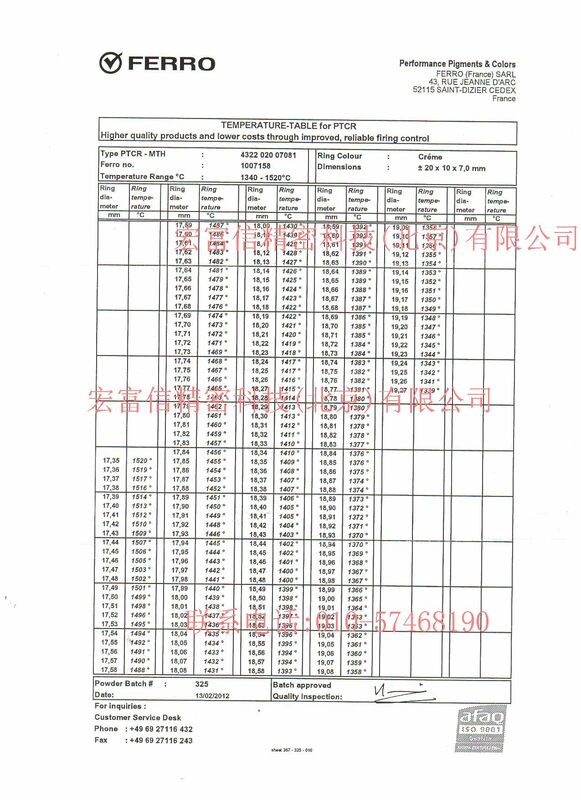 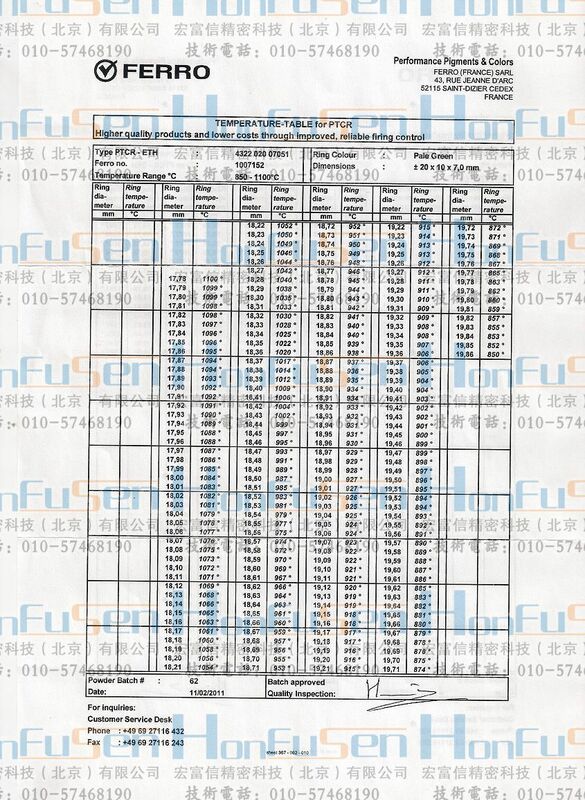 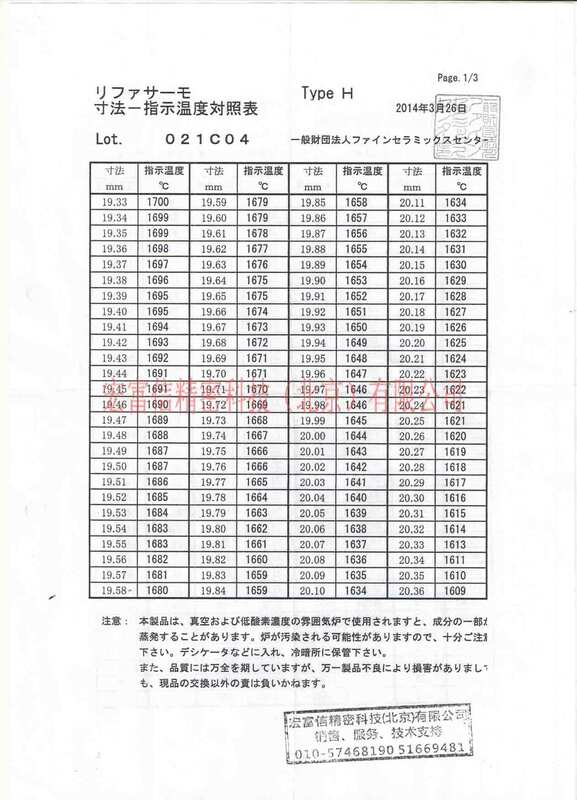 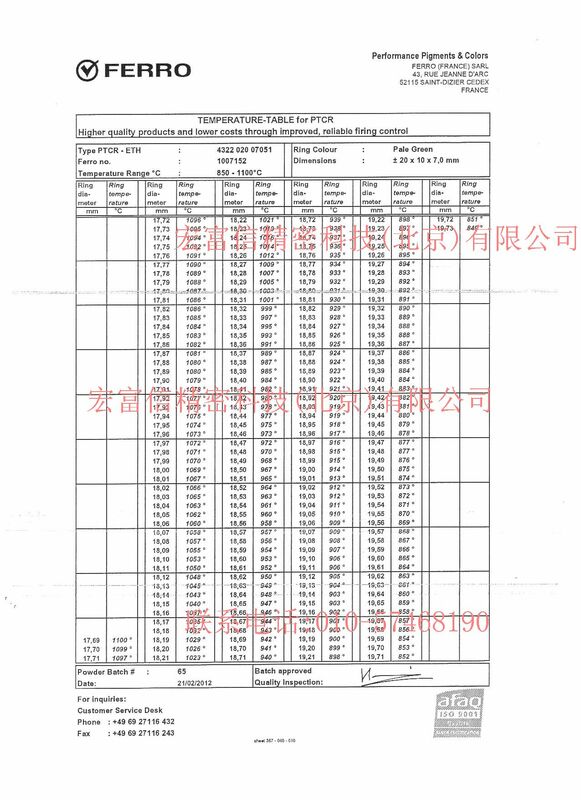 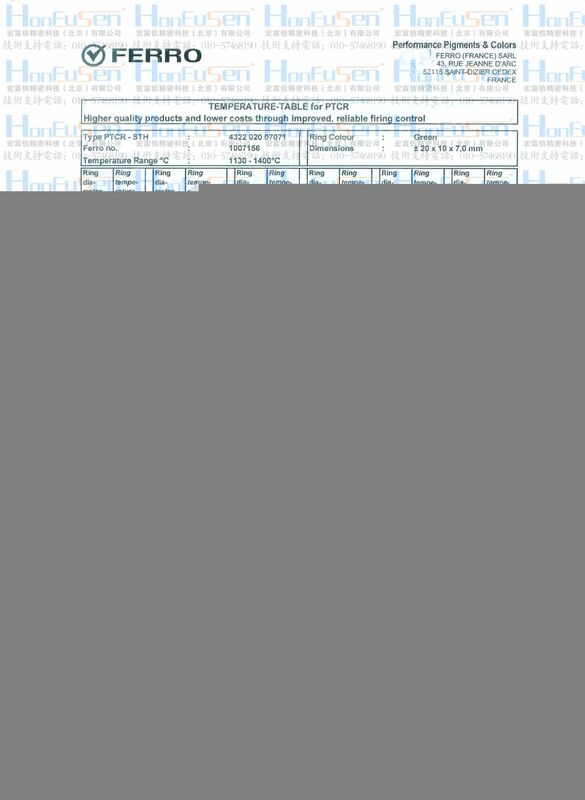 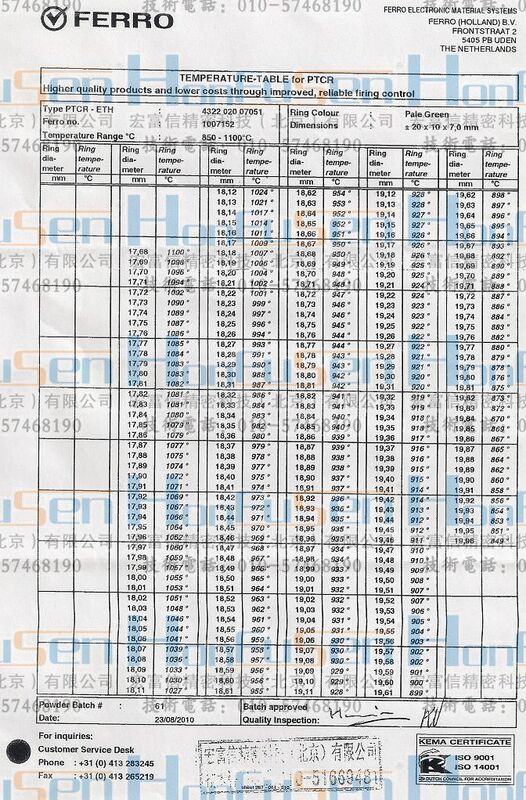 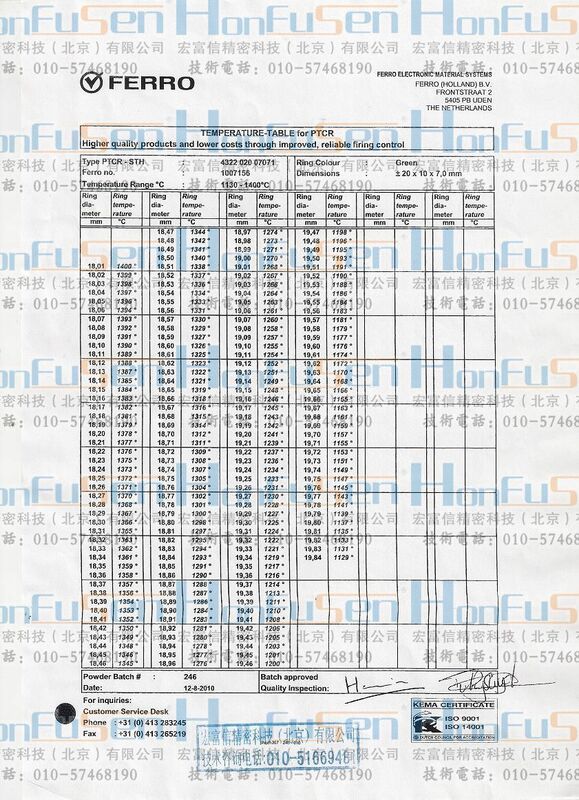 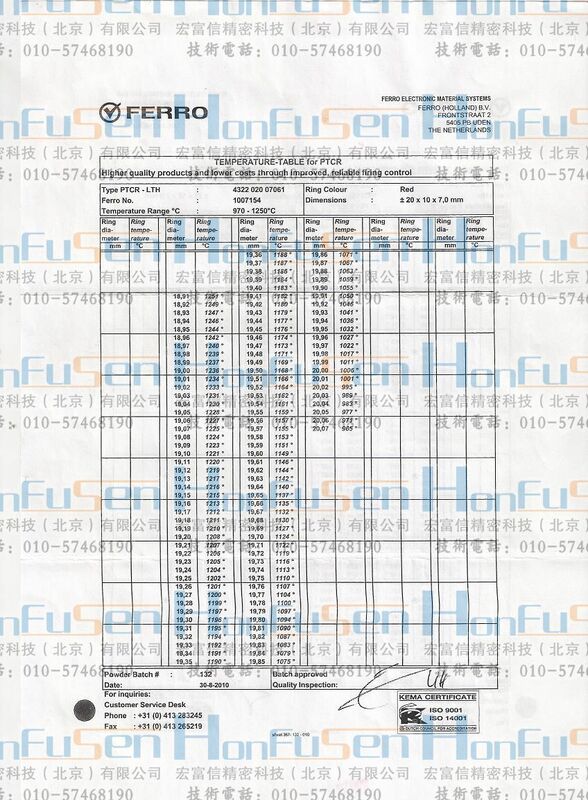 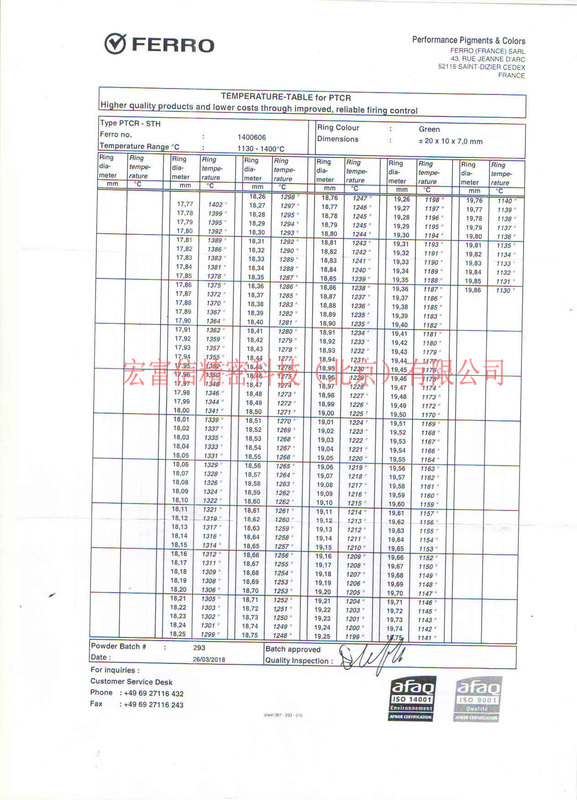 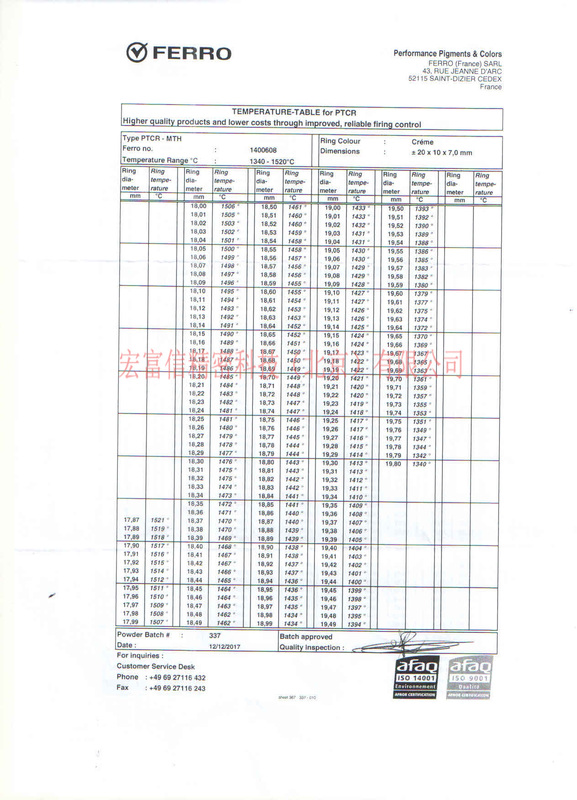 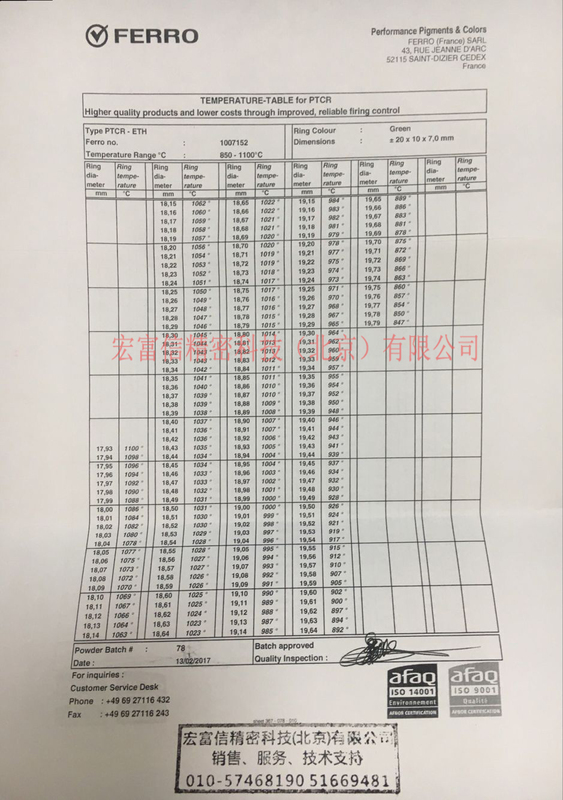 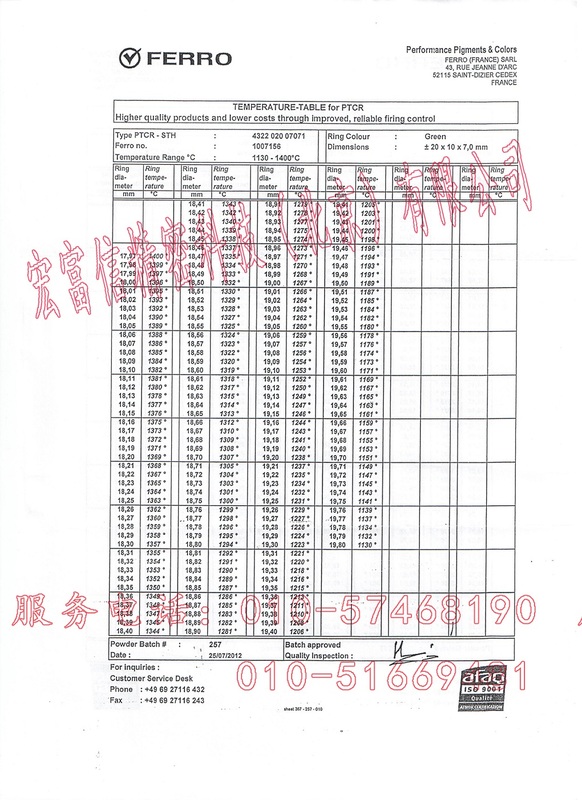 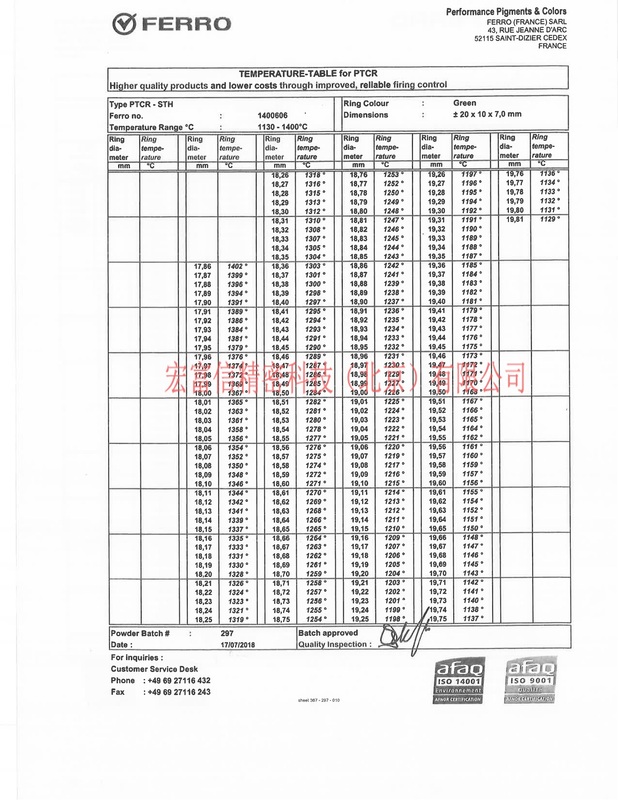 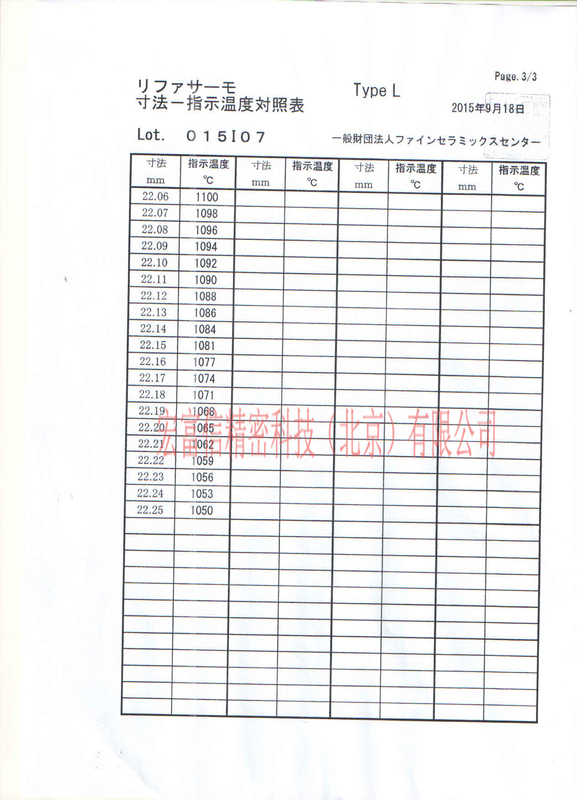 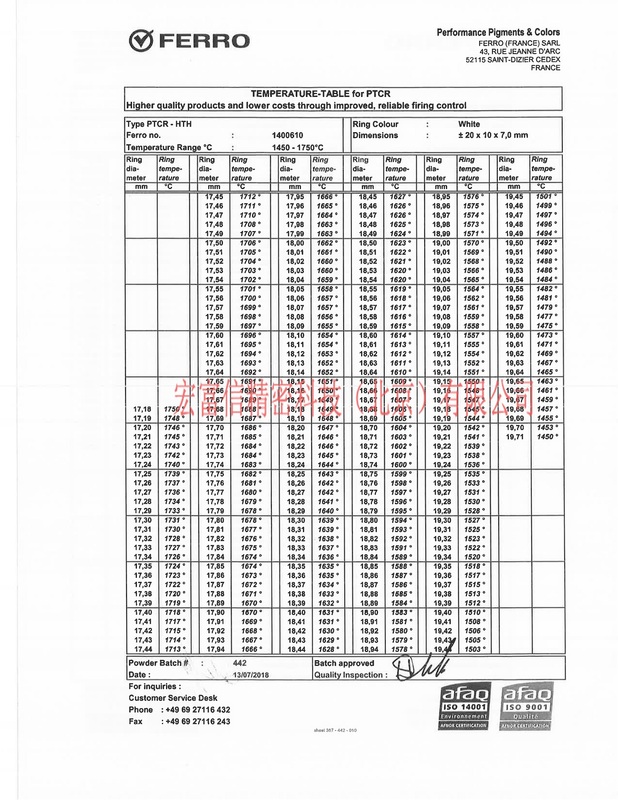 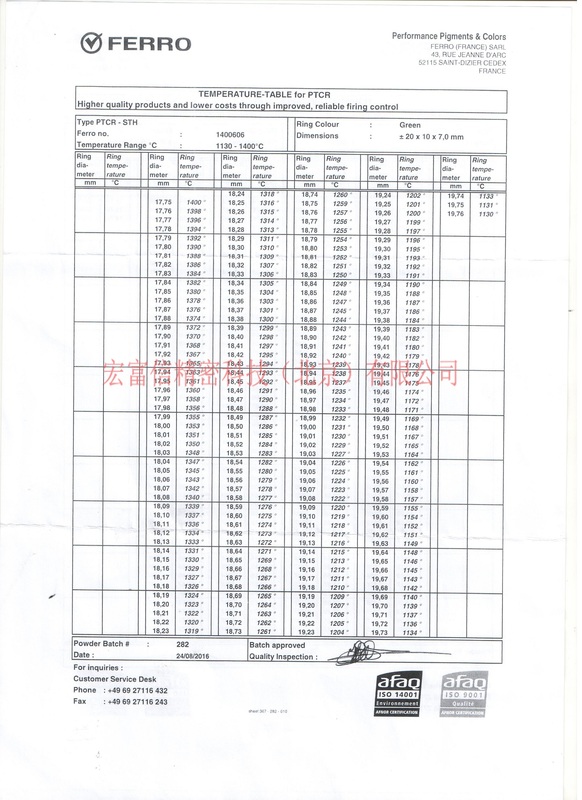 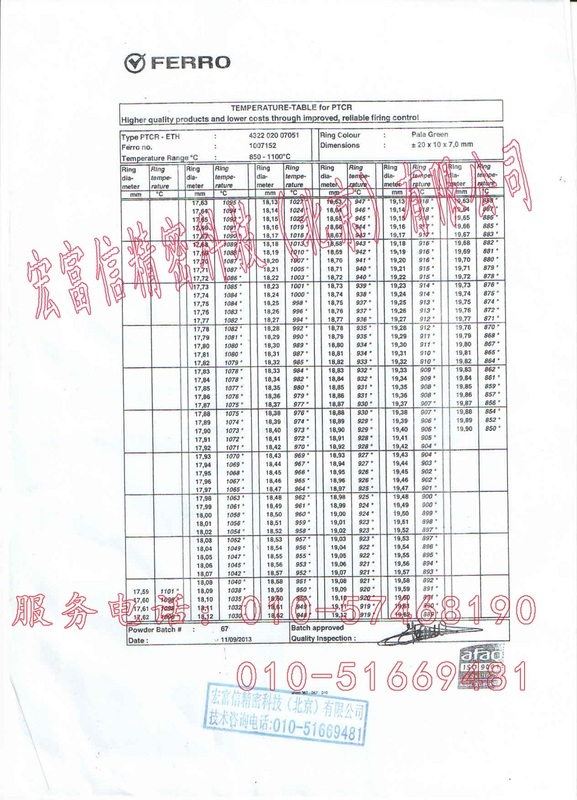 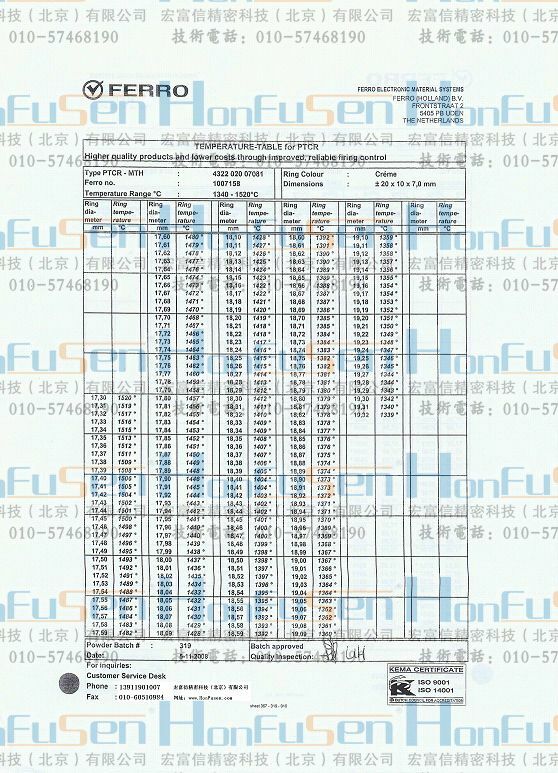 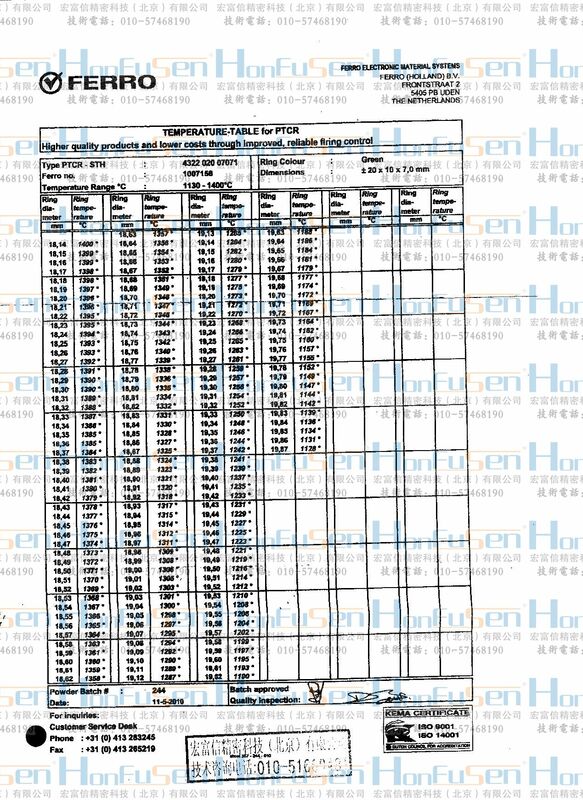 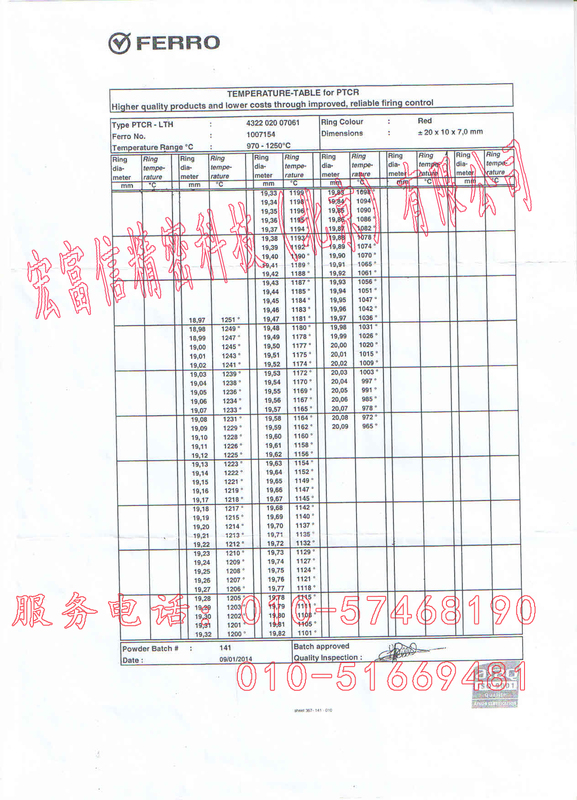 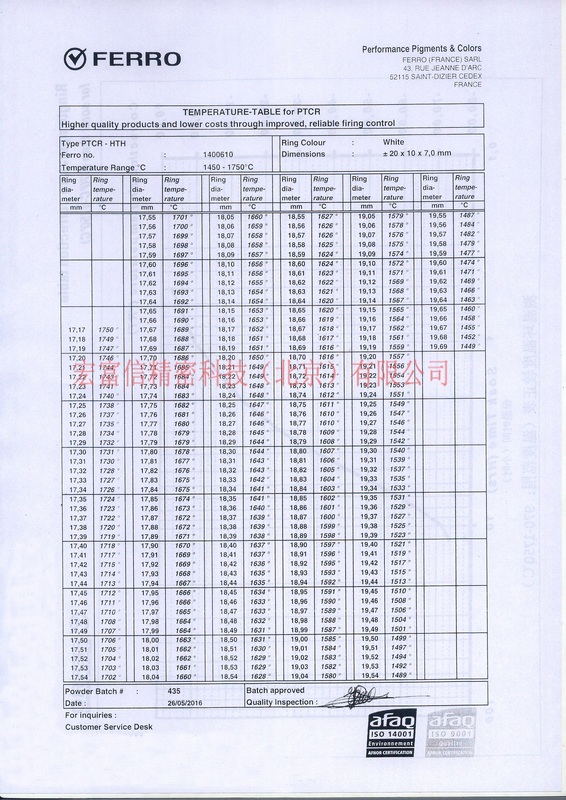 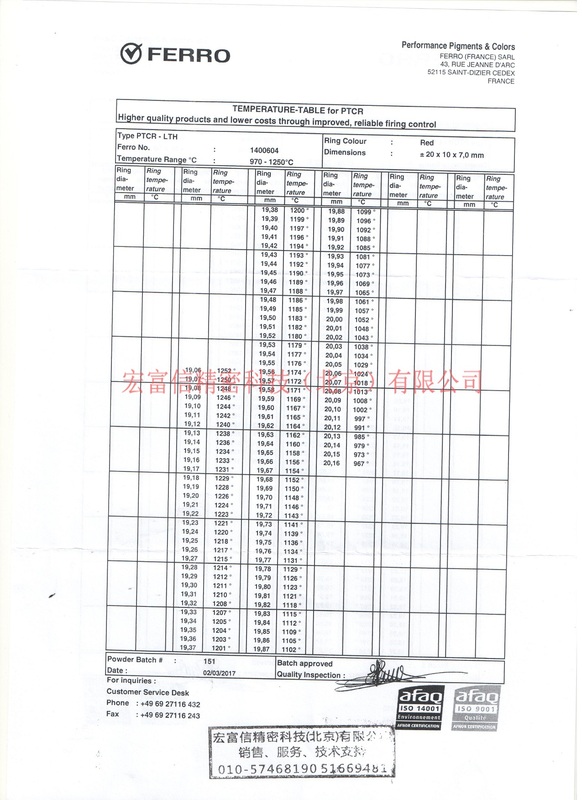 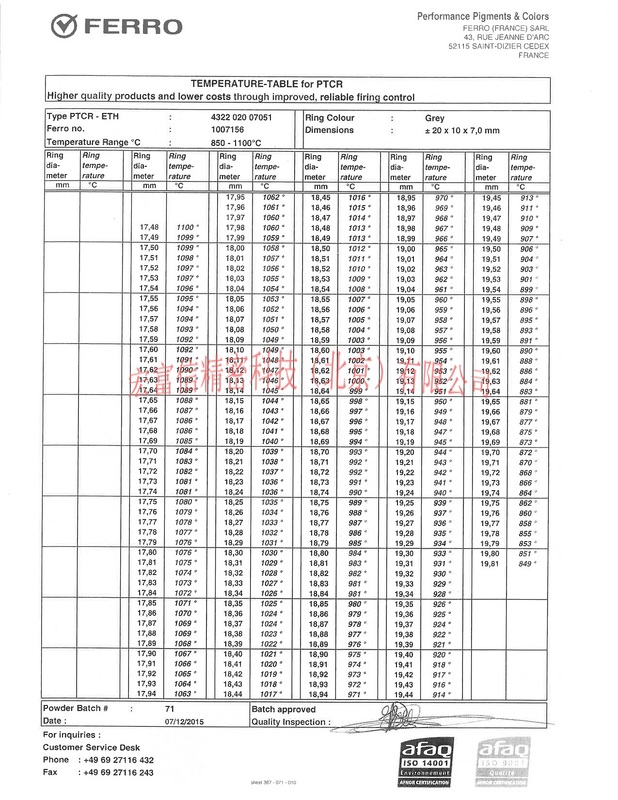 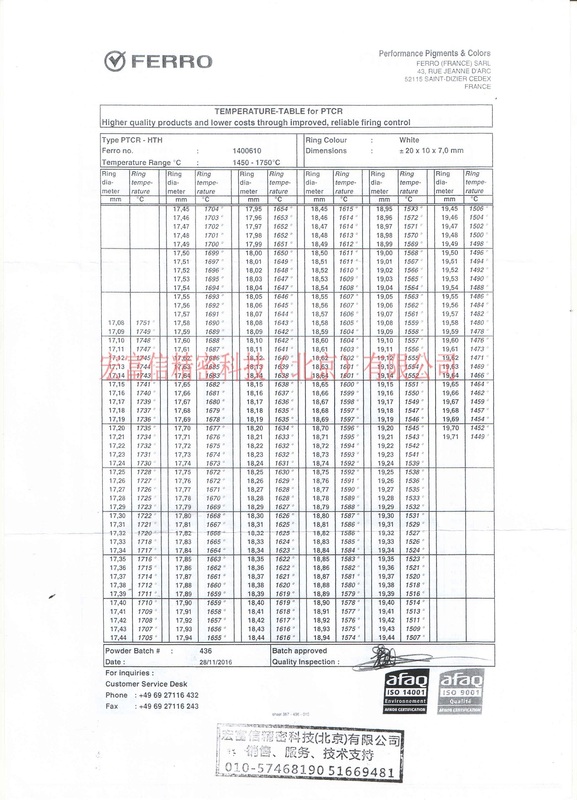 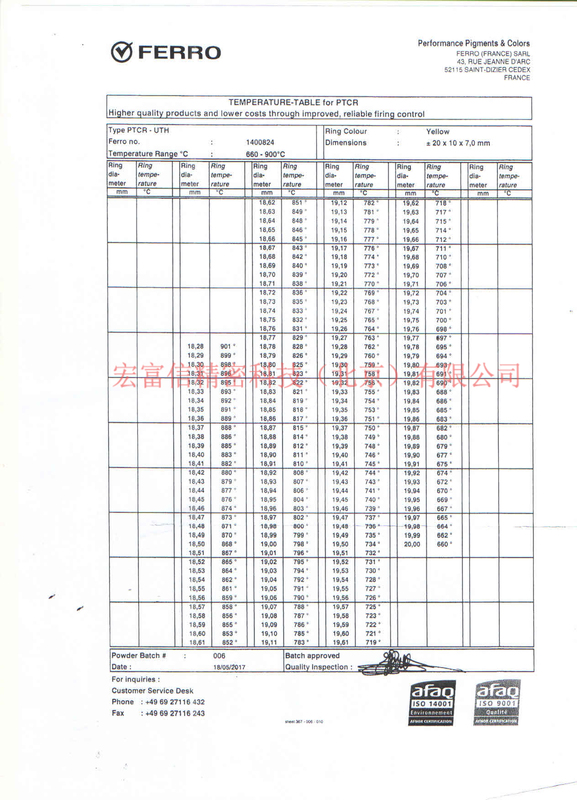 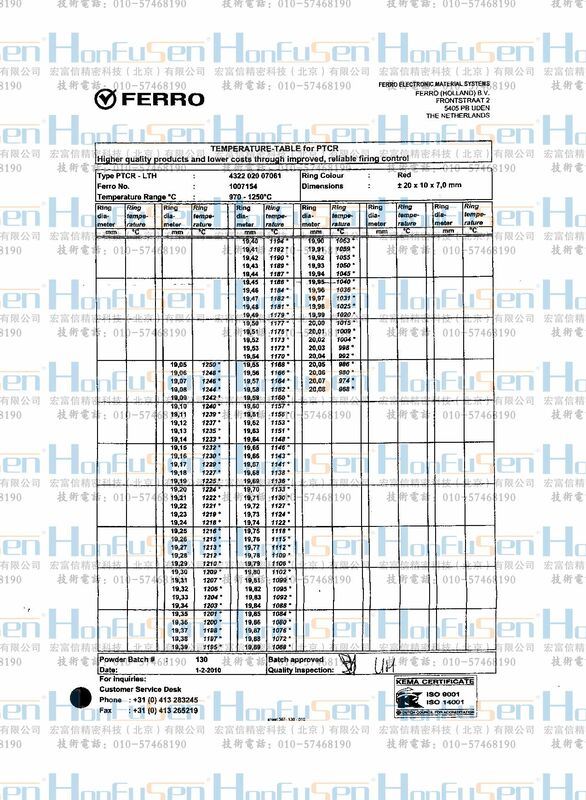 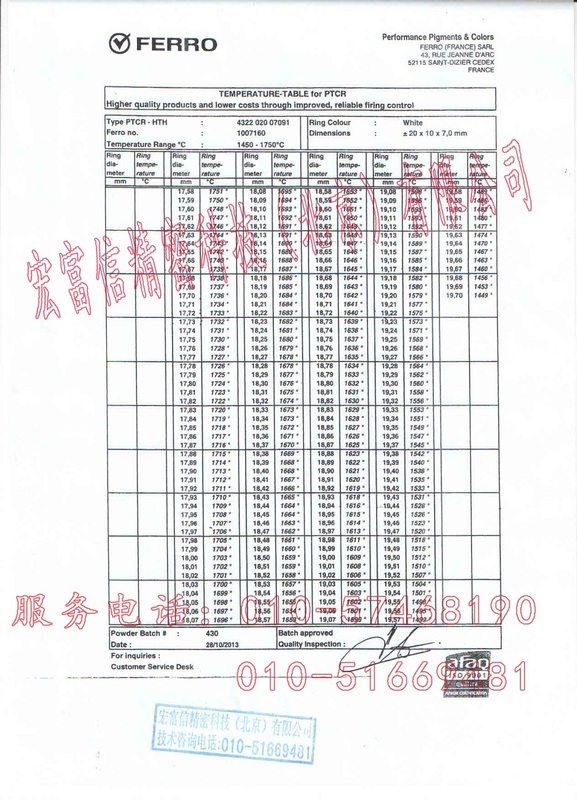 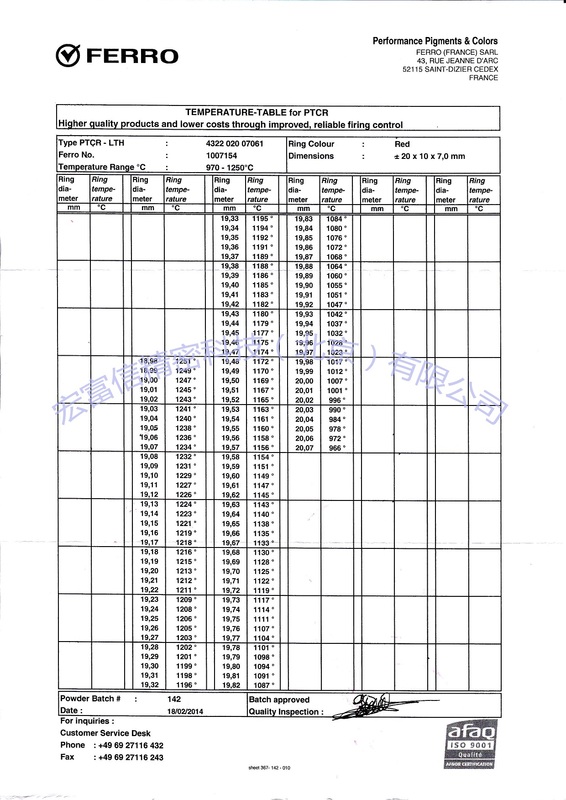 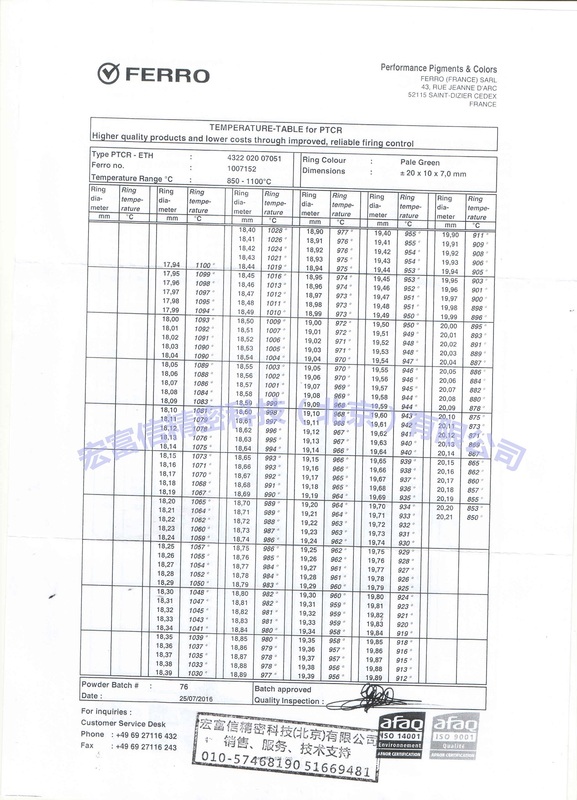 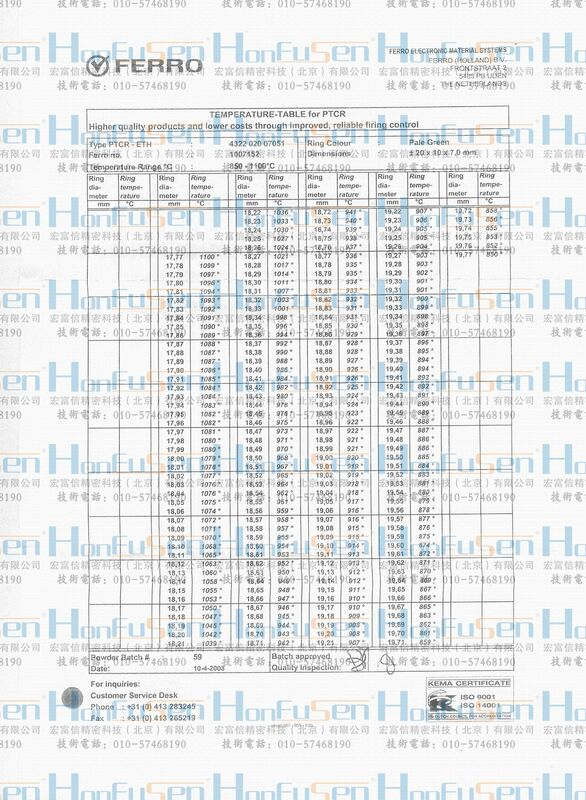 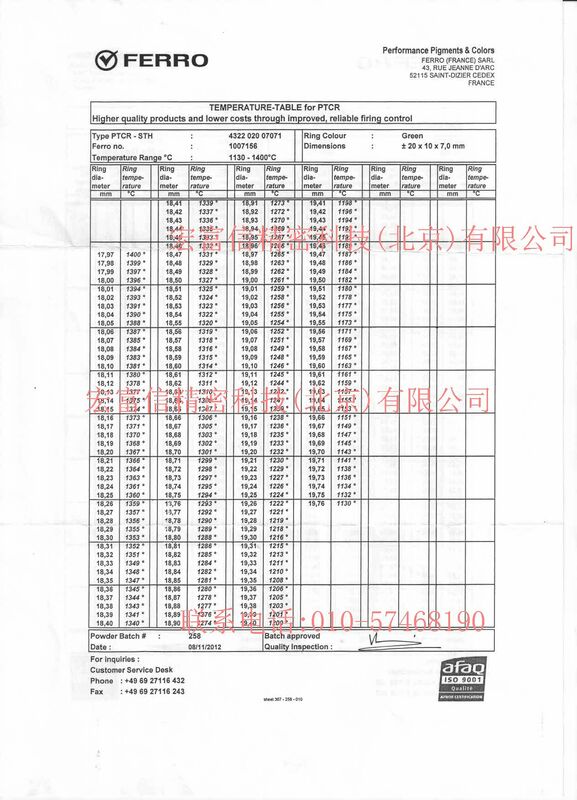 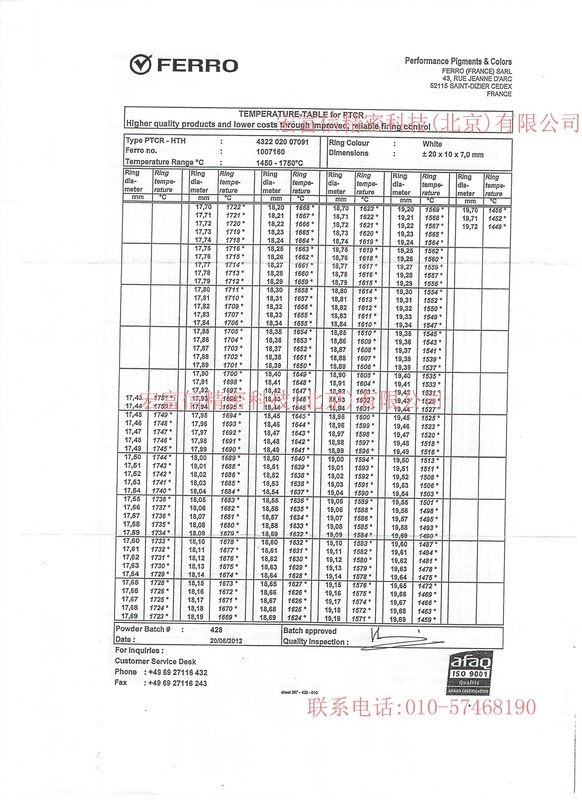 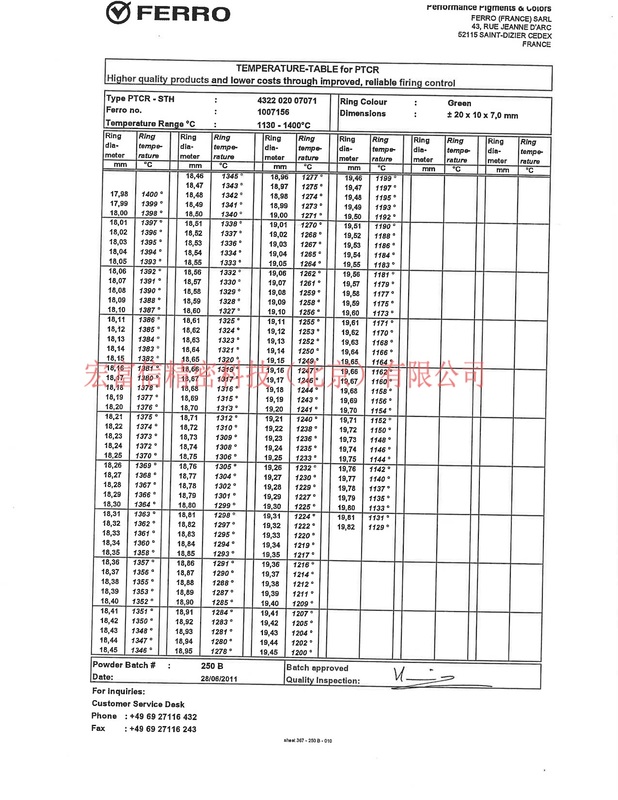 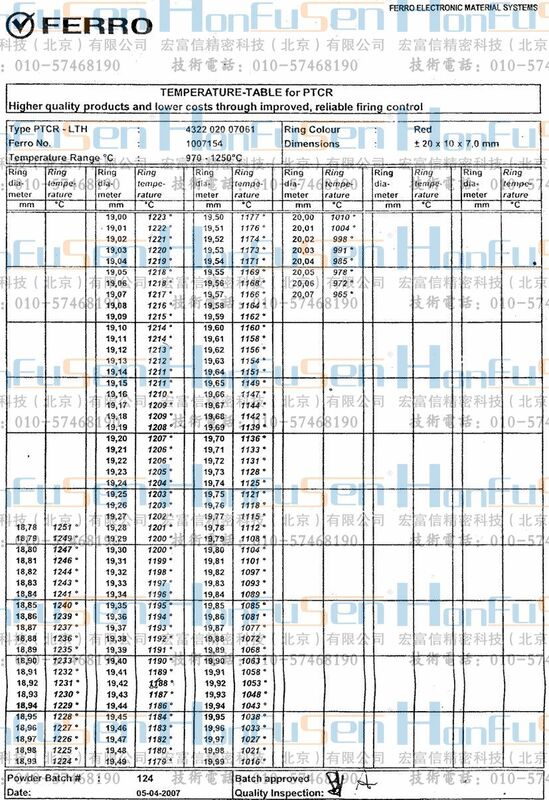 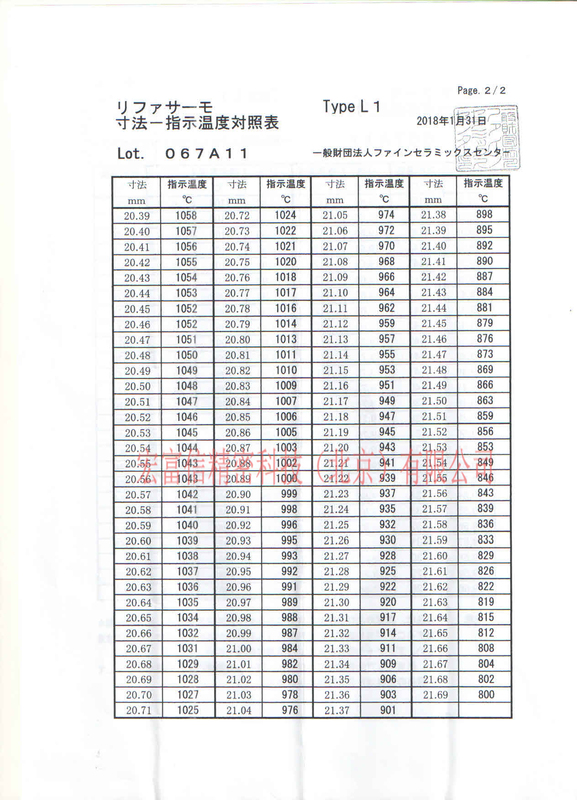 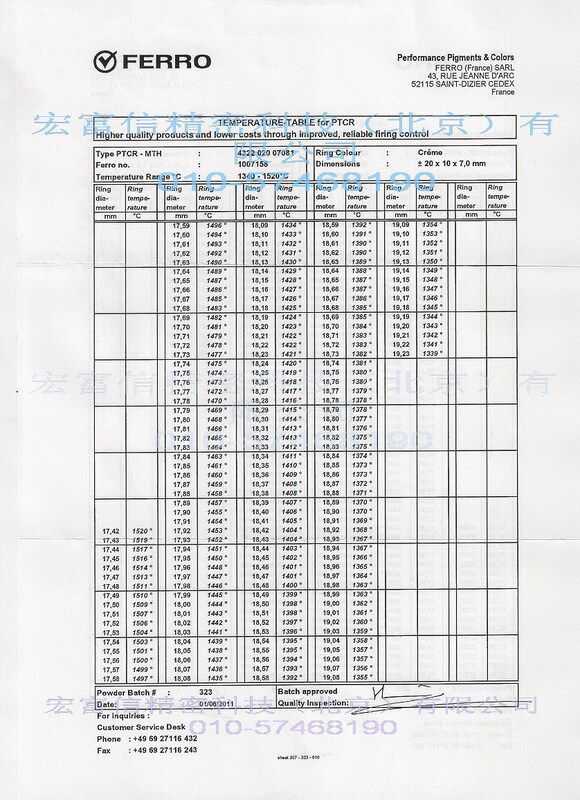 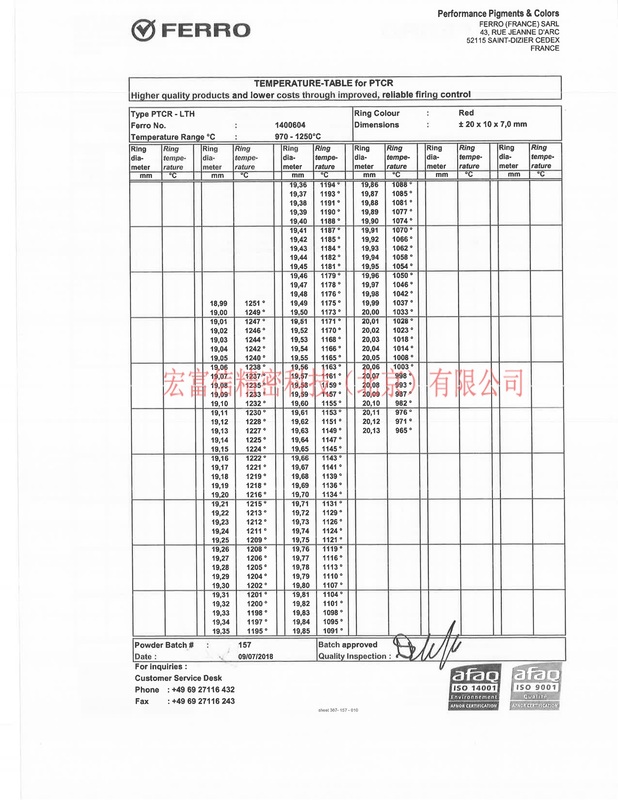 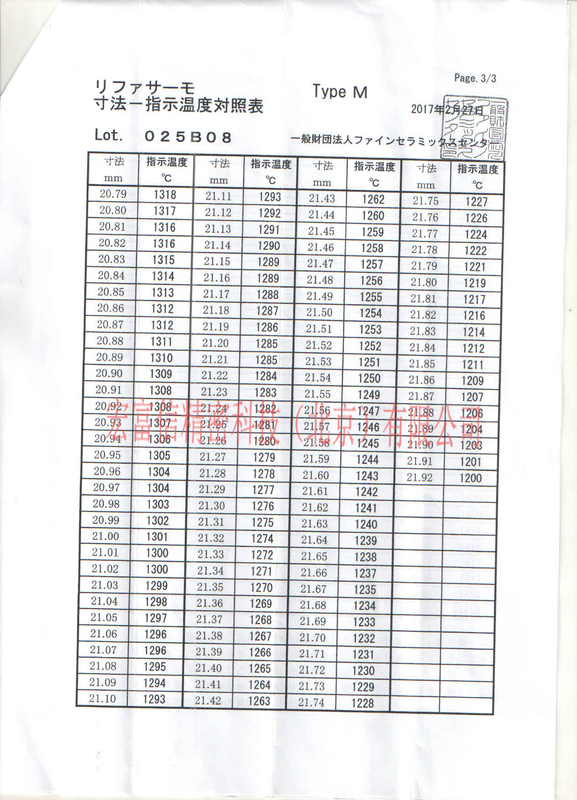 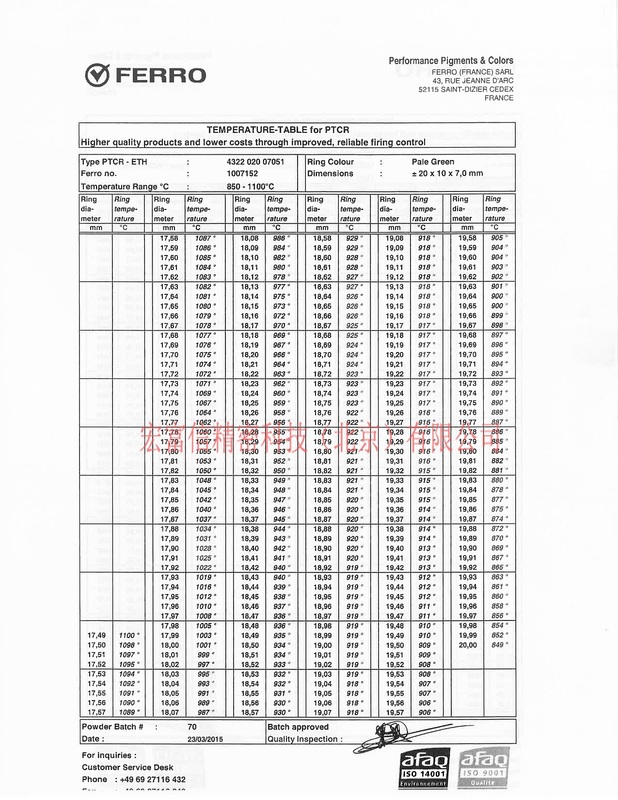 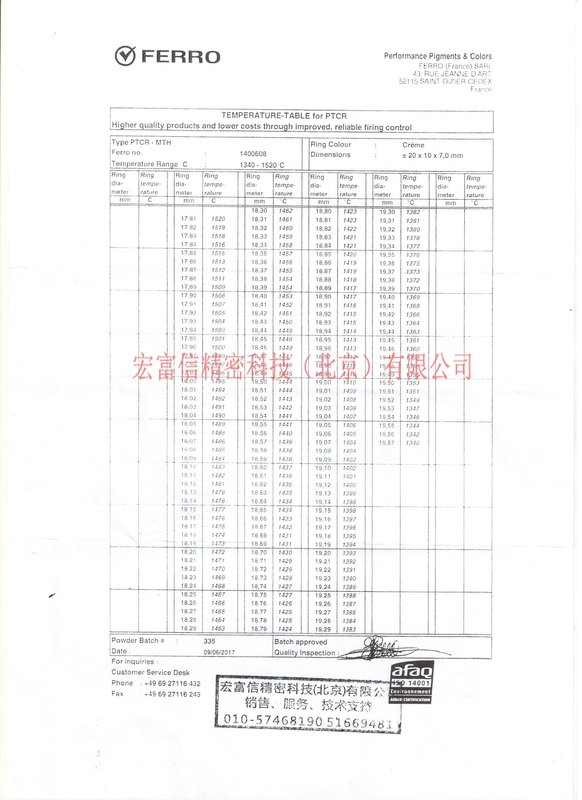 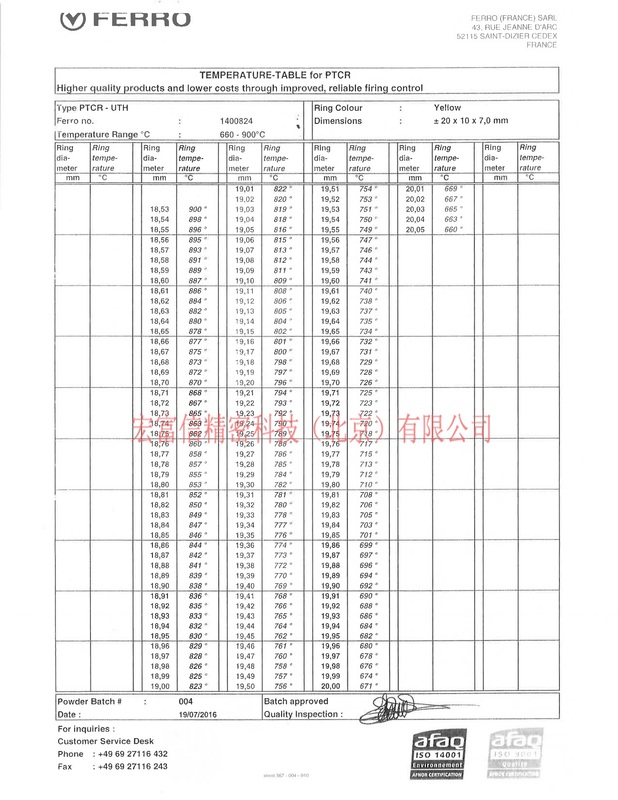 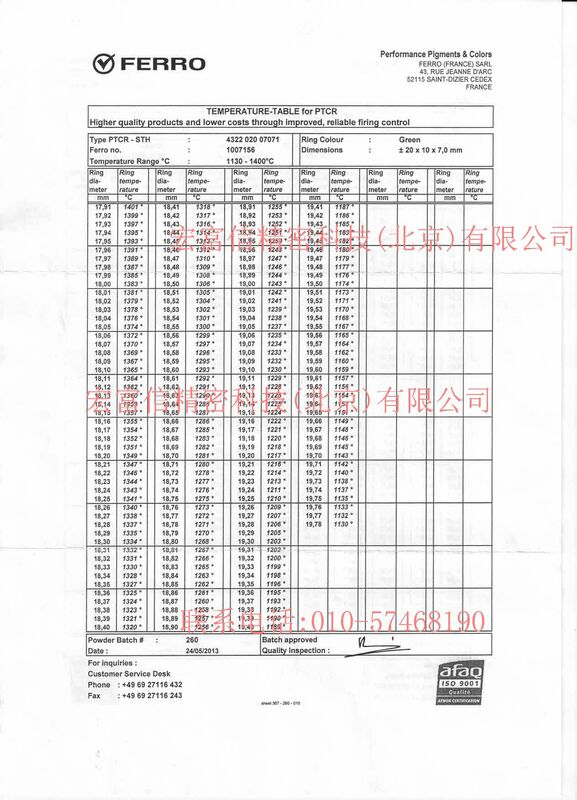 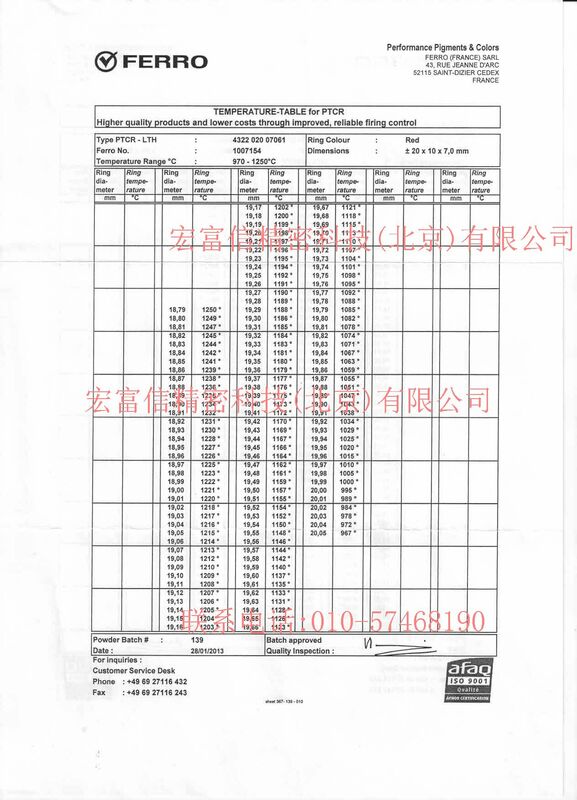 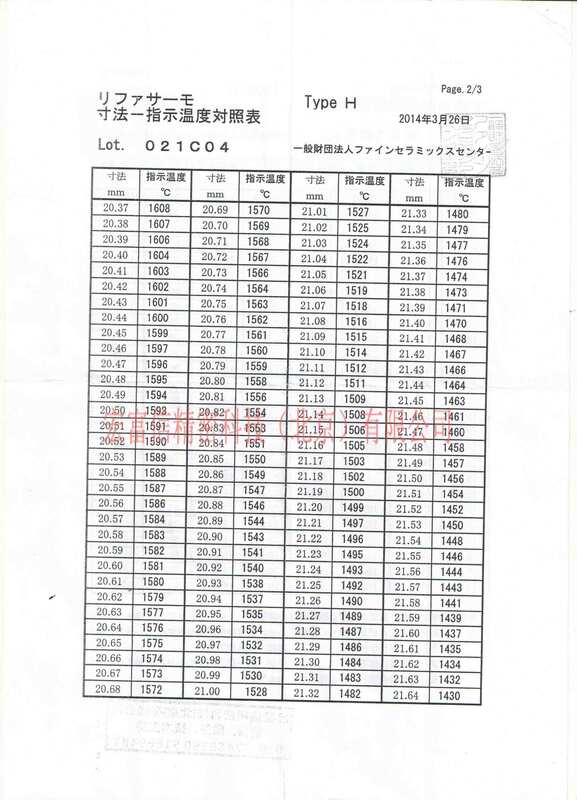 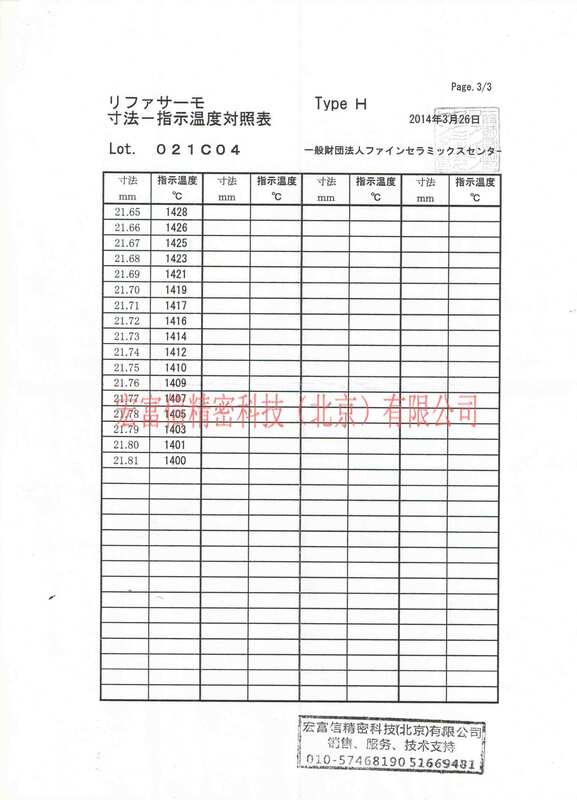 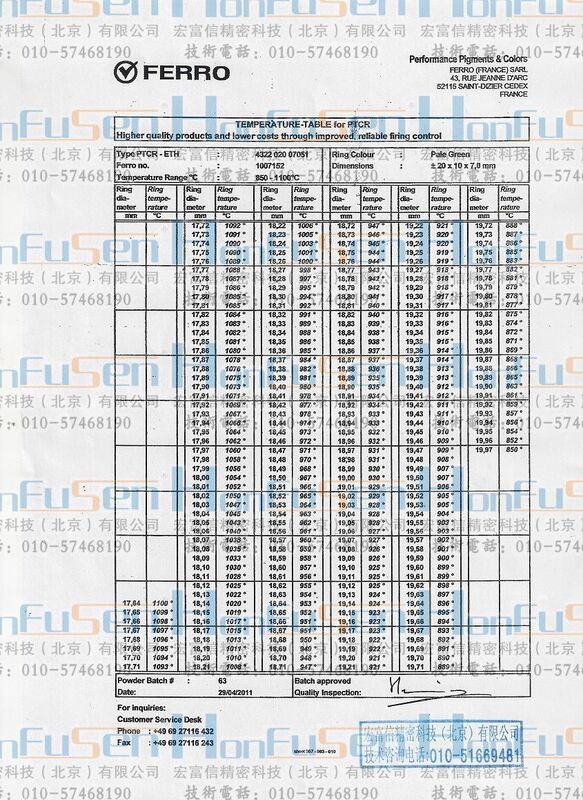 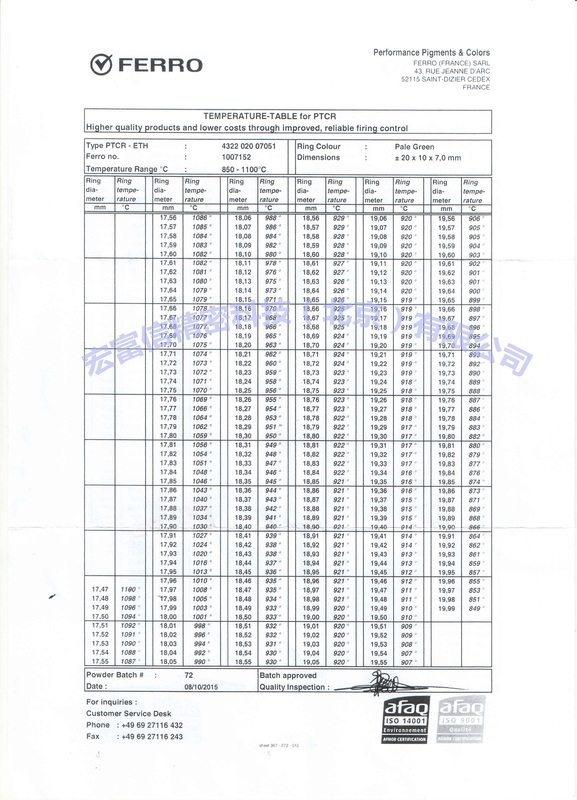 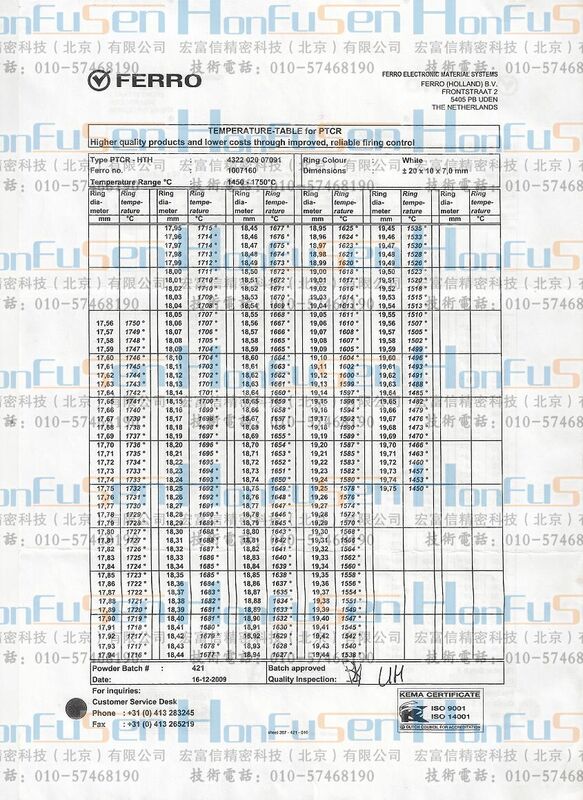 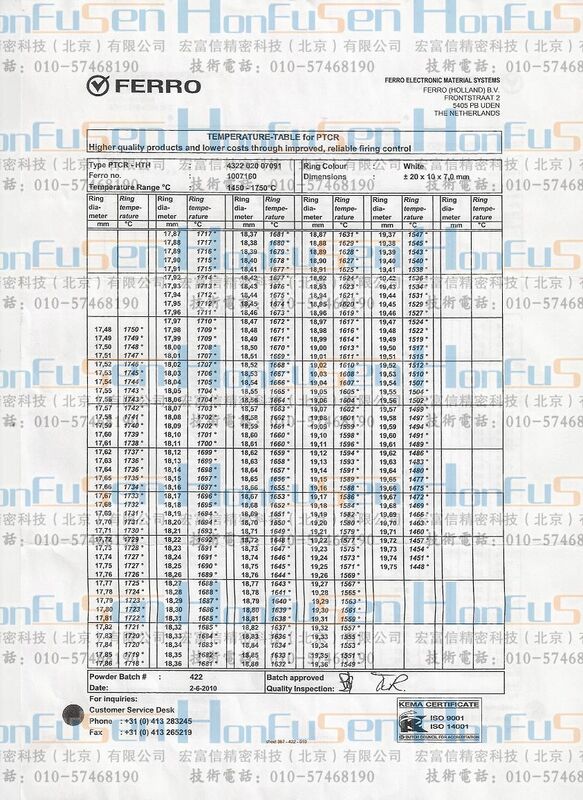 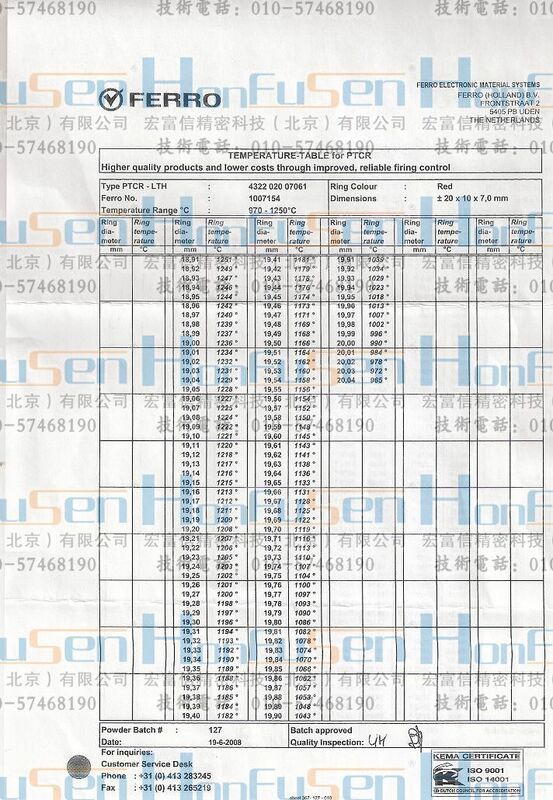 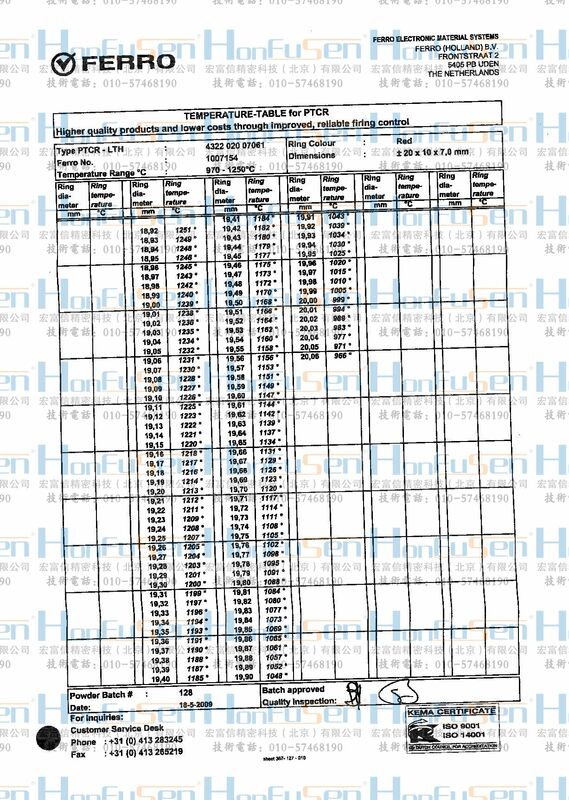 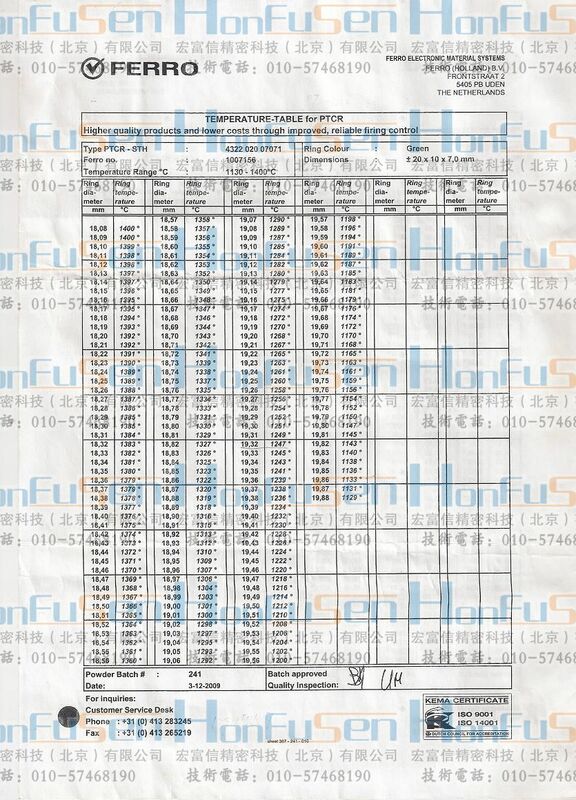 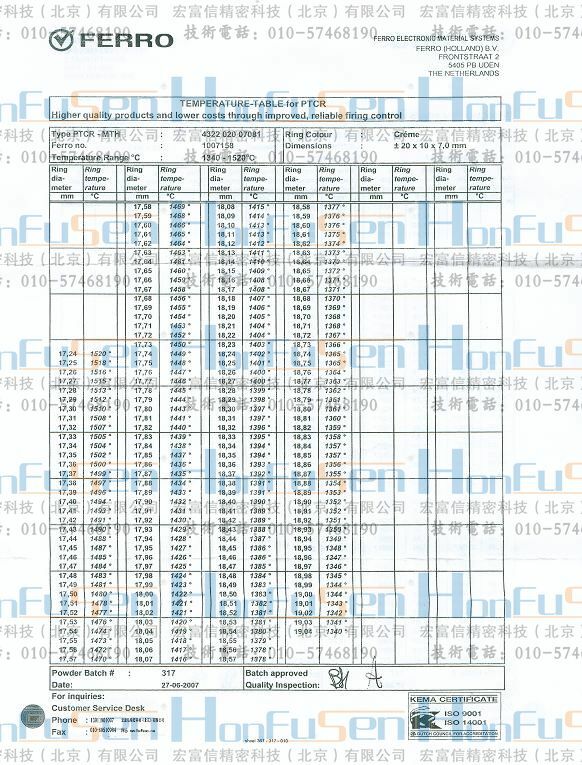 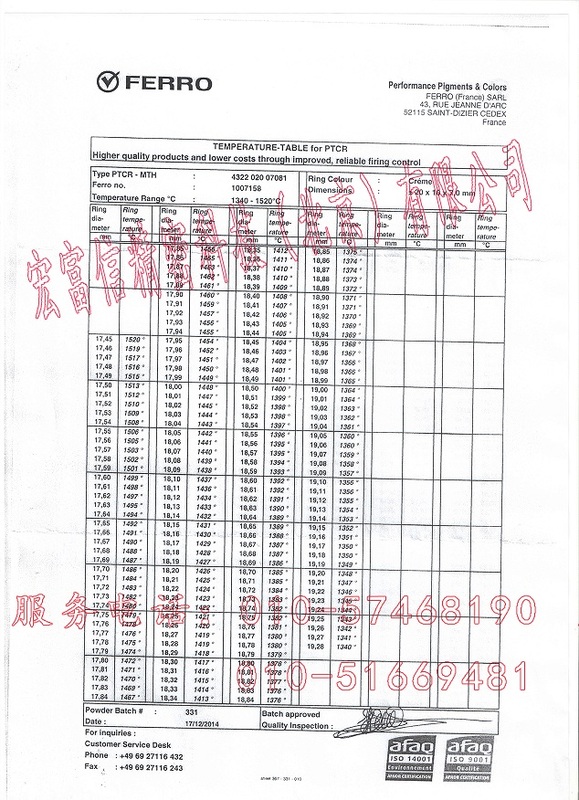 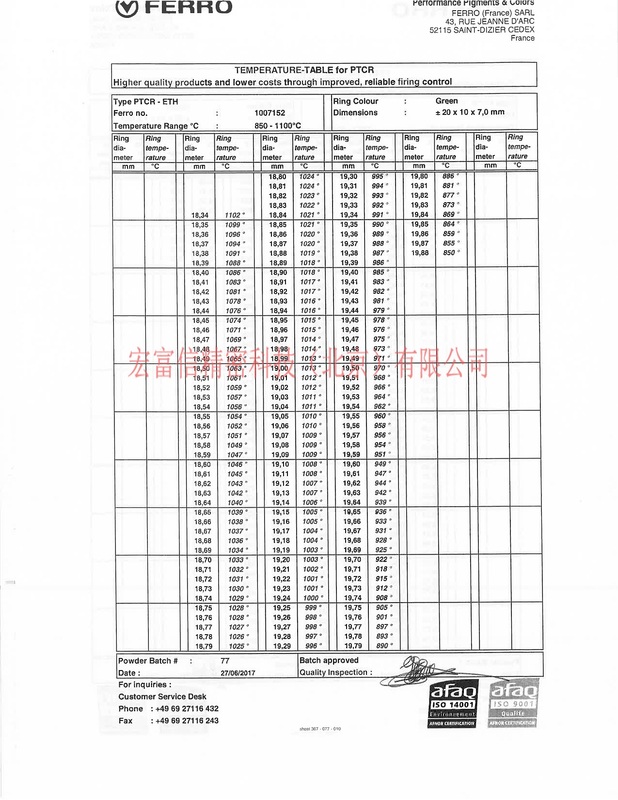 HonFuSen Precision Technology (BeiJing) Co.,Ltd. 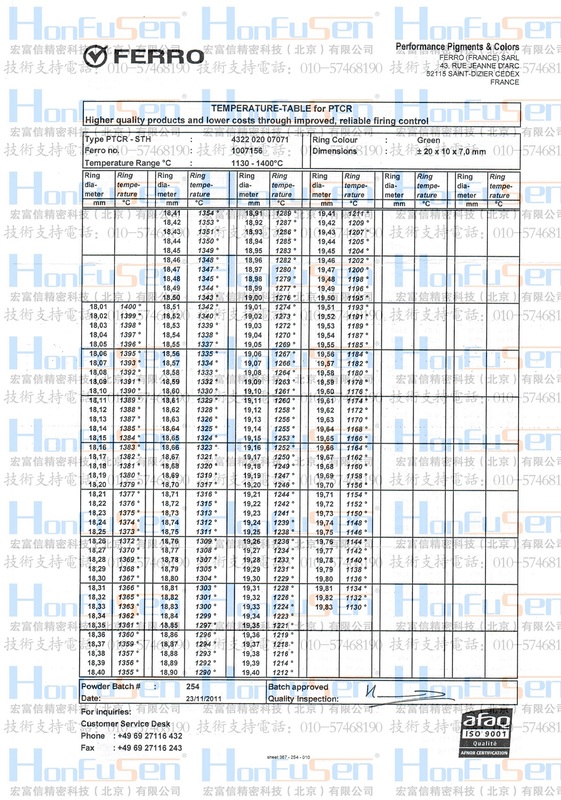 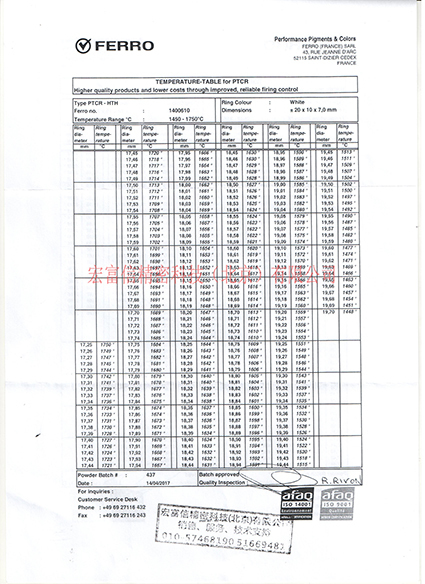 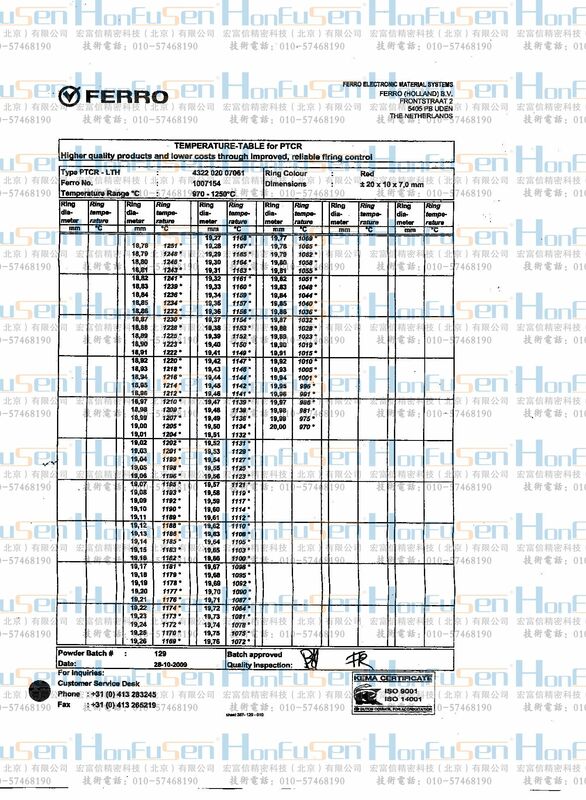 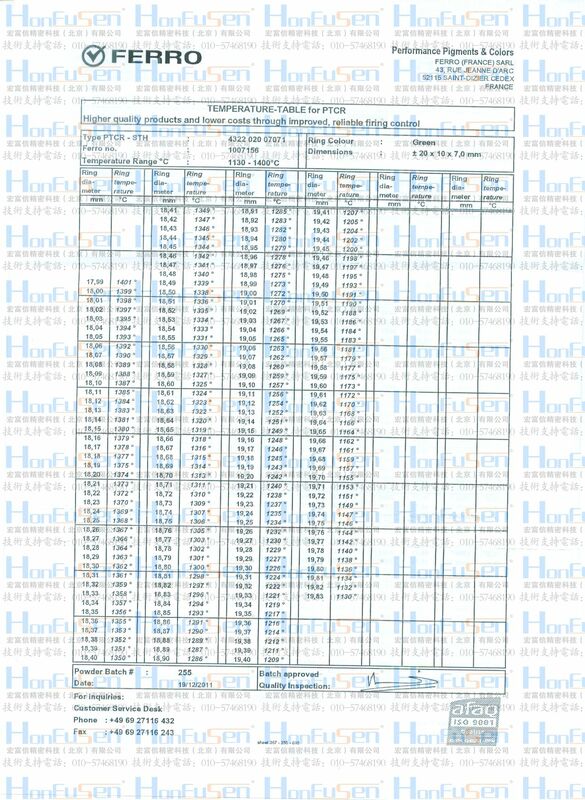 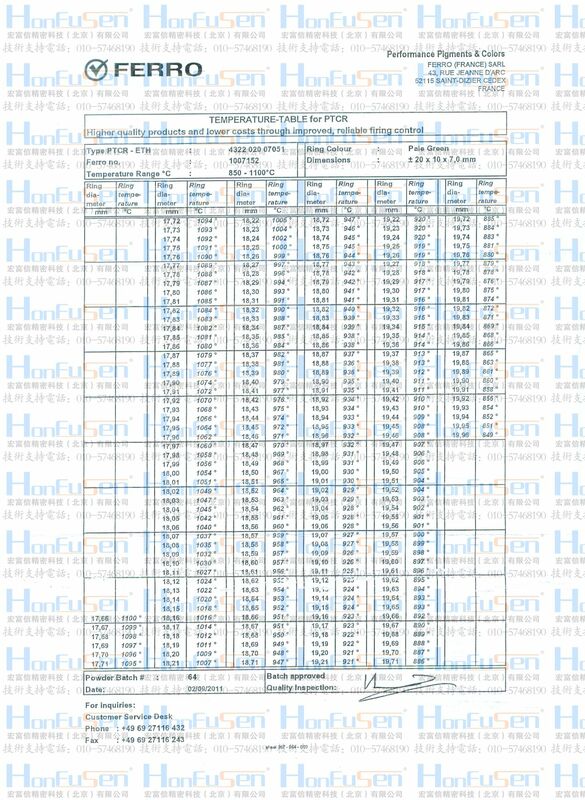 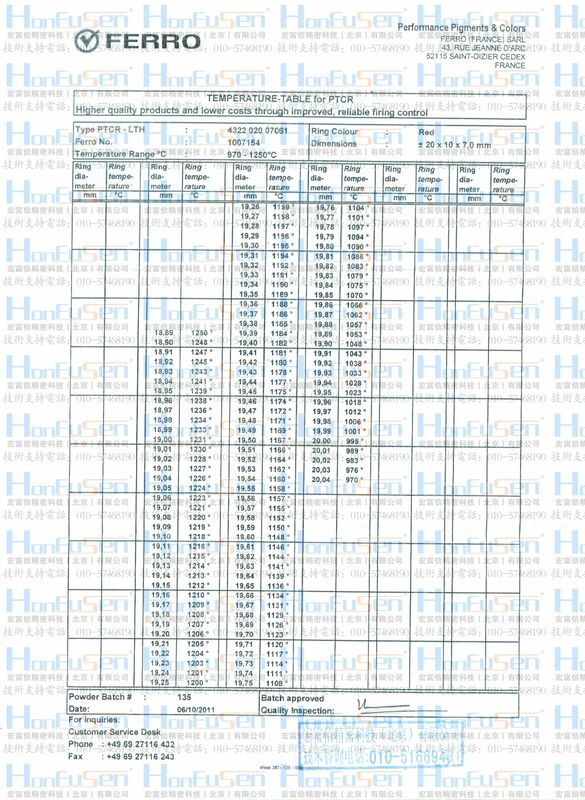 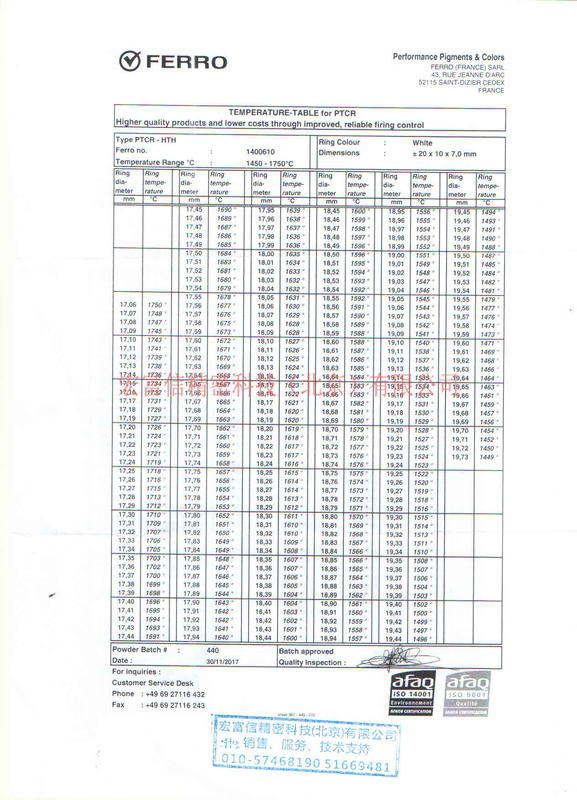 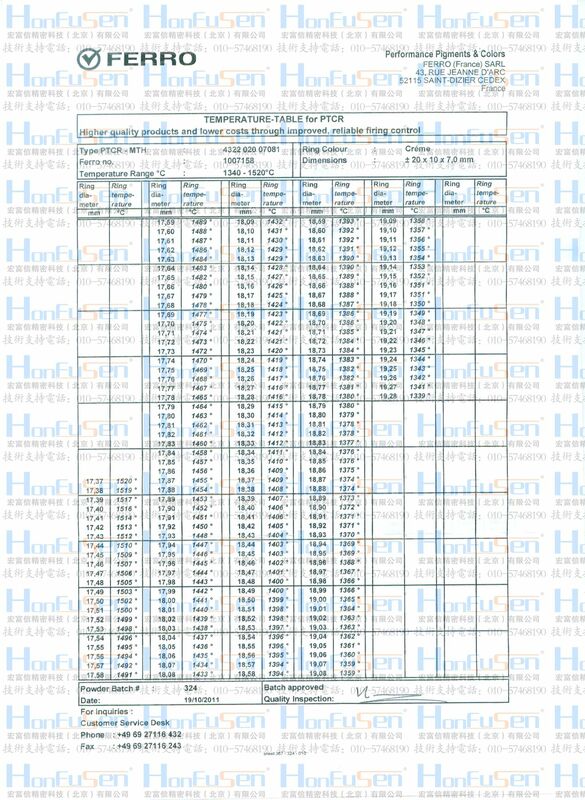 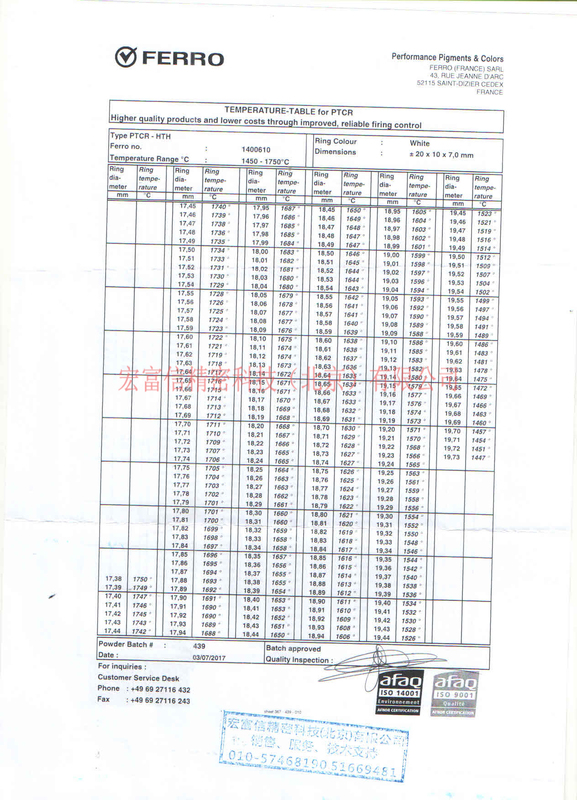 With this data sheet we provide a general overview about PTCR. 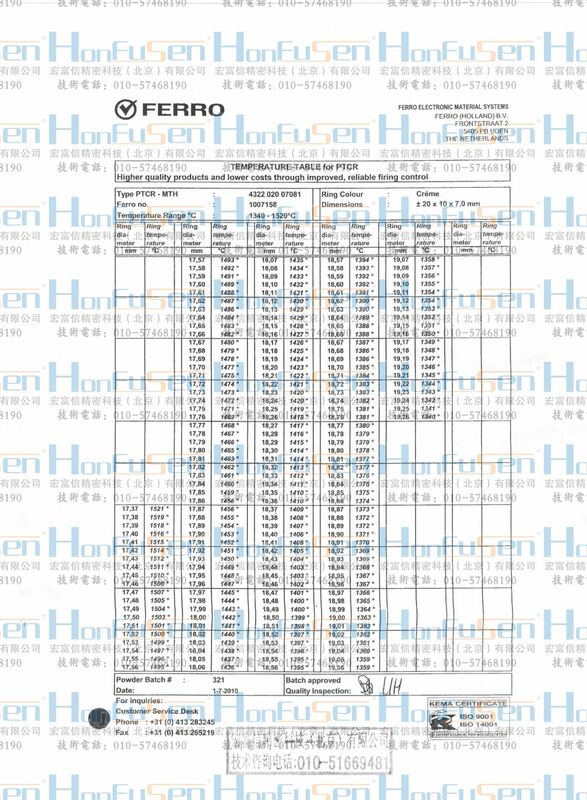 For further technical information, useful hints and application advice for the use of Process Temperature Control Rings PTCR please refer to our PTCR Manual “Technique & Application”. 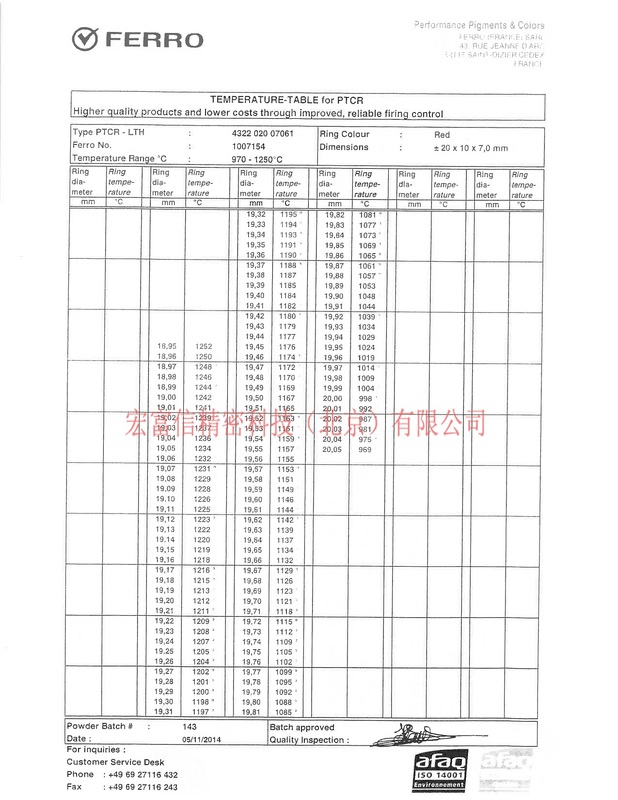 How does a PTCR work? 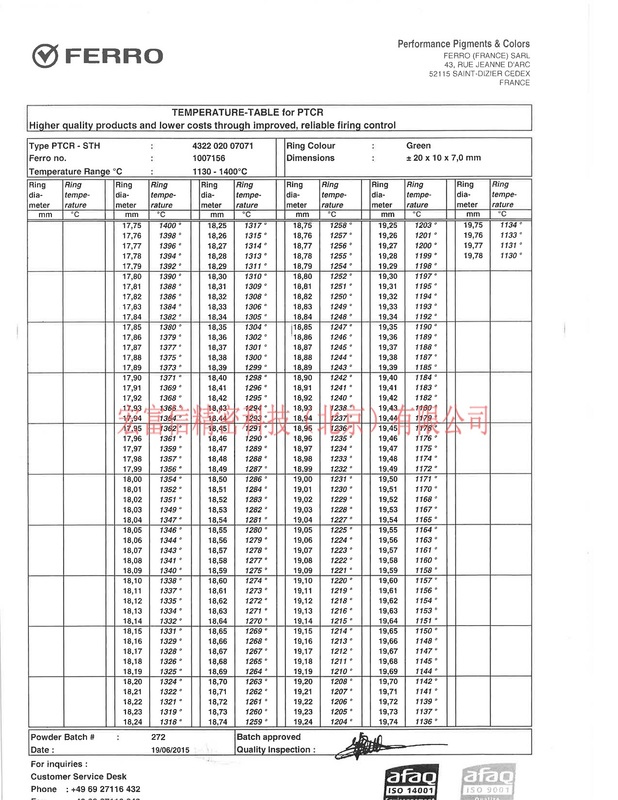 The PTCR is a ceramic ring which shrinks if it is exposed to heat. 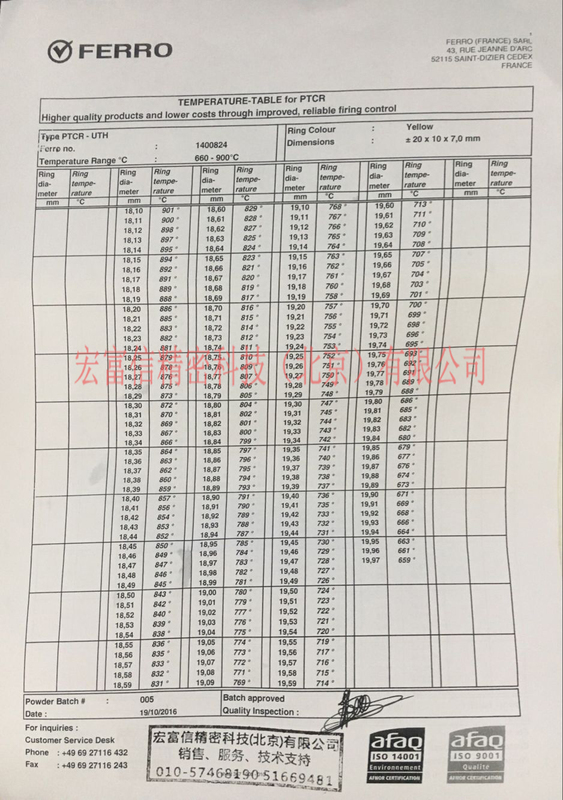 The degree of shrinkage depends on the actual temperature in the kiln/furnace, the ability of the kiln/furnace to transfer the heat and the time it is exposed to the heat treatment. 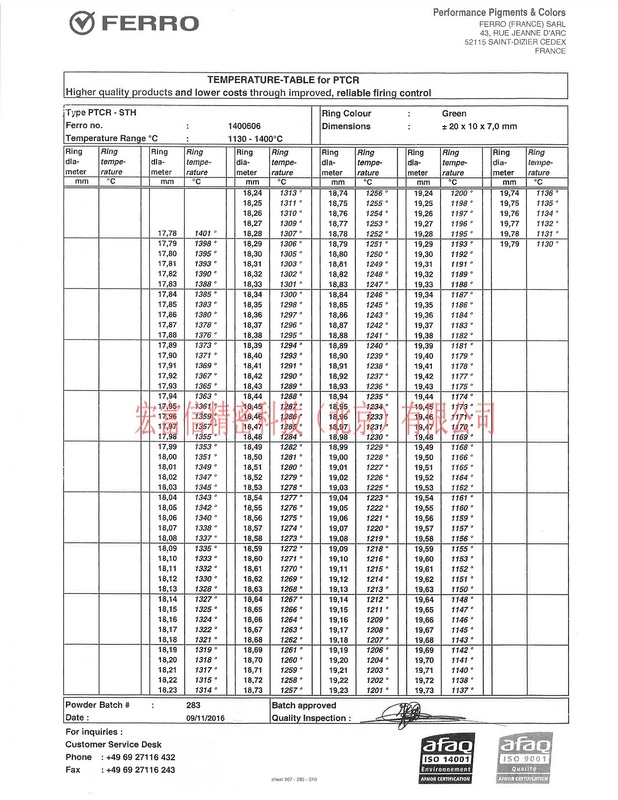 The amount of contraction - the amount by which the ring diameter has shrunk - is measured with a numerical or digital micrometer. 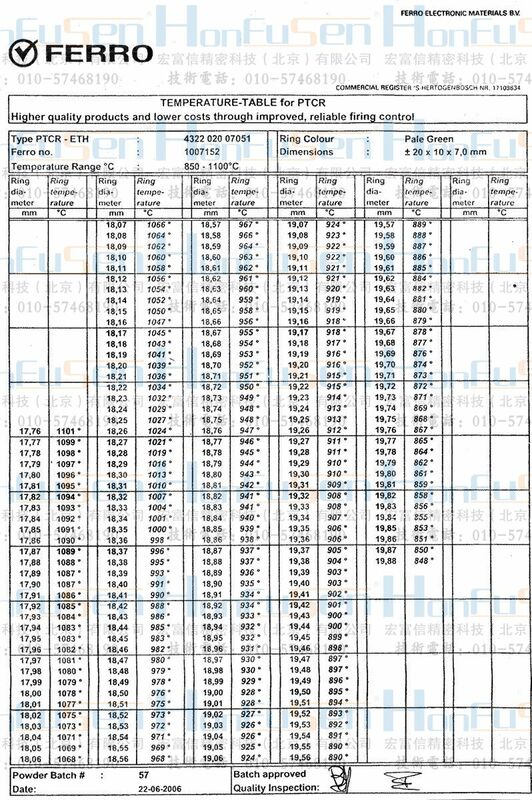 For ease and for comparison, the shrinkage of PTCR – and therefore the total absorbed heat quantity – is converted by means of a chart into a single, fictitious conversion parameter the so-called “ring temperature” (RT). 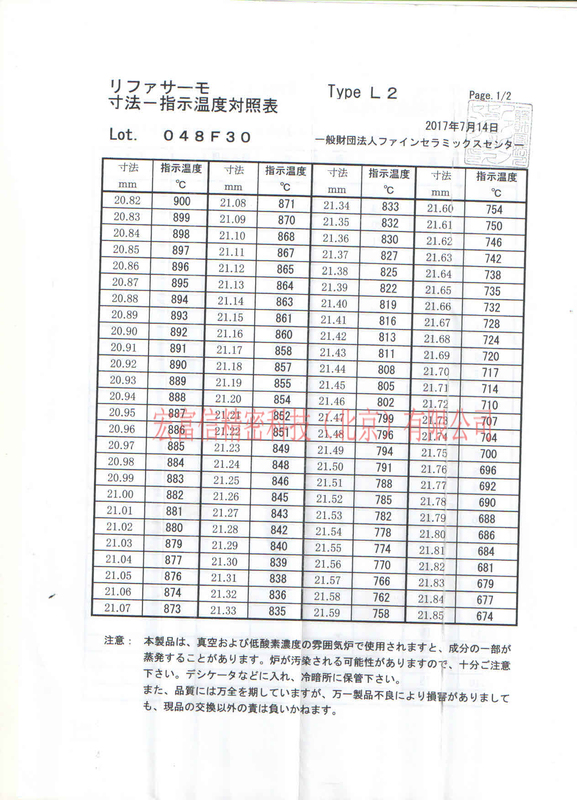 Basically, this is not a “temperature”, but a parameter that depends on time and temperature. 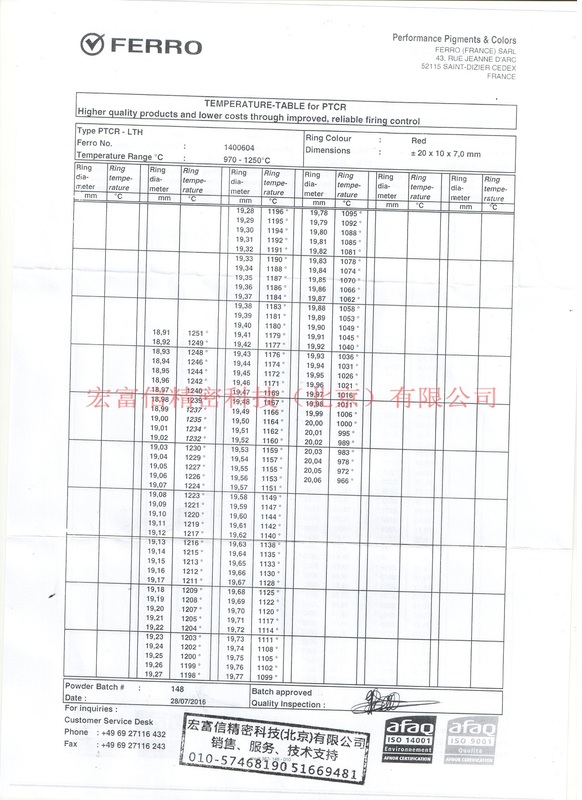 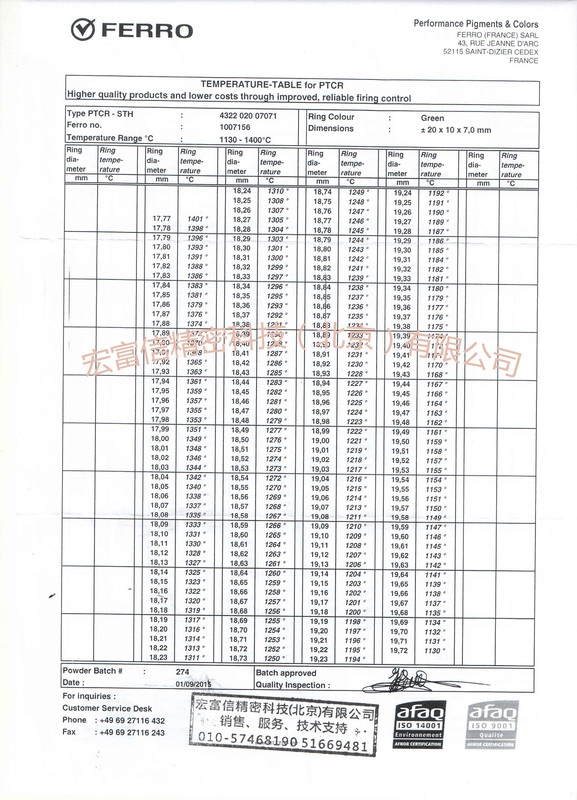 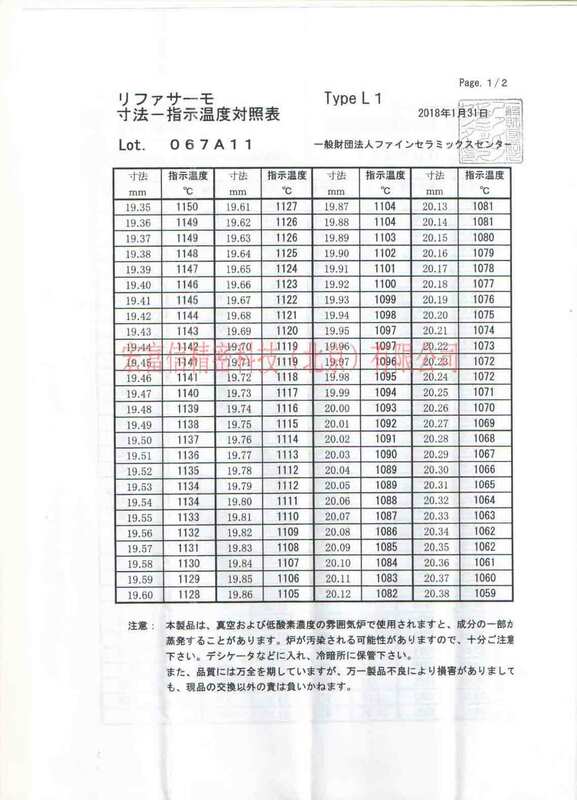 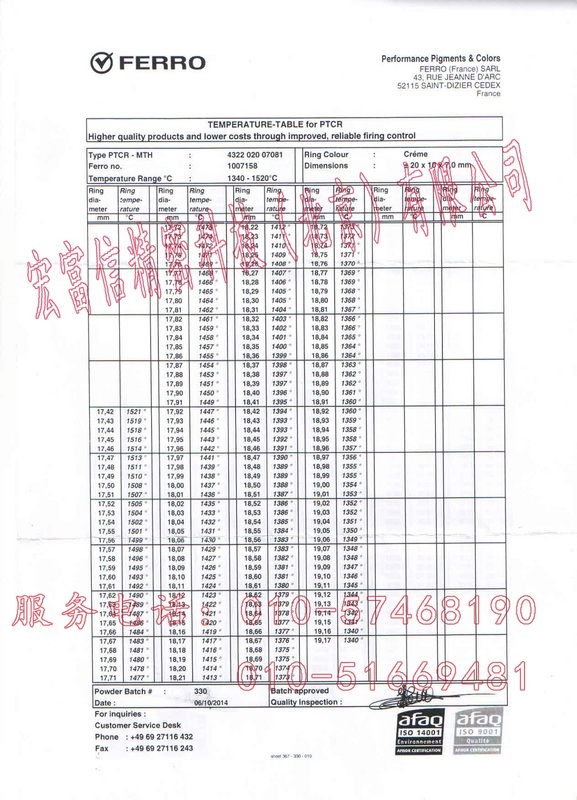 The RT does not reflect the maximum temperature of the firing process, and does not correspond to the real kiln/furnace temperature, because the PTCR accumulates the absorbed heat quantity over time. 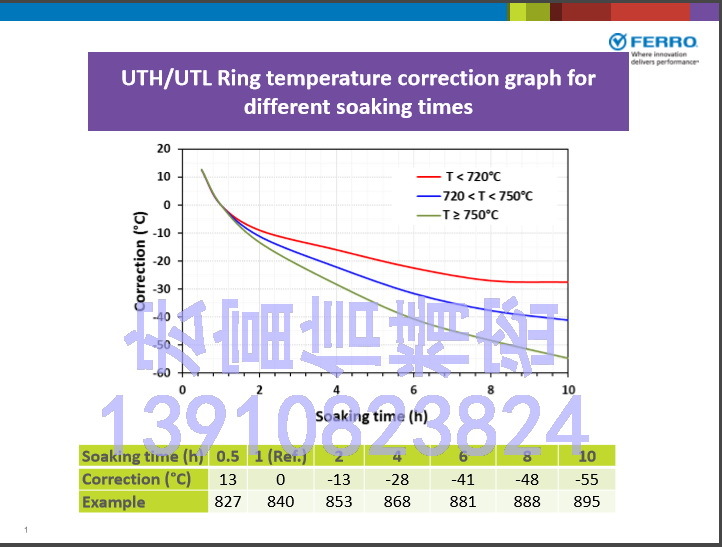 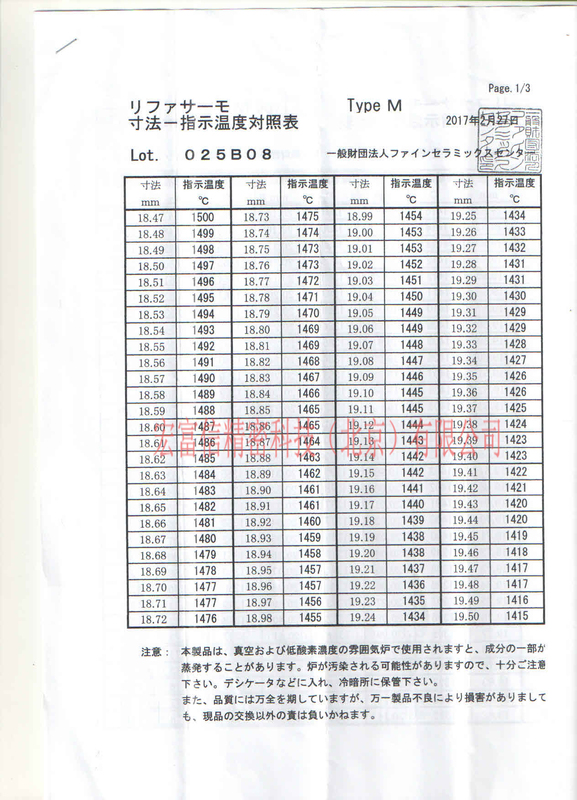 The PTCR temperature reading is further influenced by the top temperature hold time (soak time) at maximum temperature. 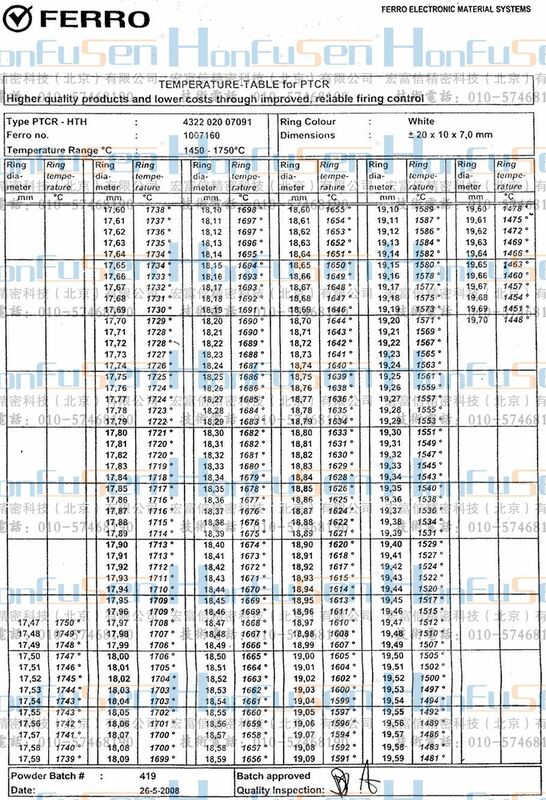 At a constant temperature the PTCR will continue to shrink, leading to a higher RT reading. 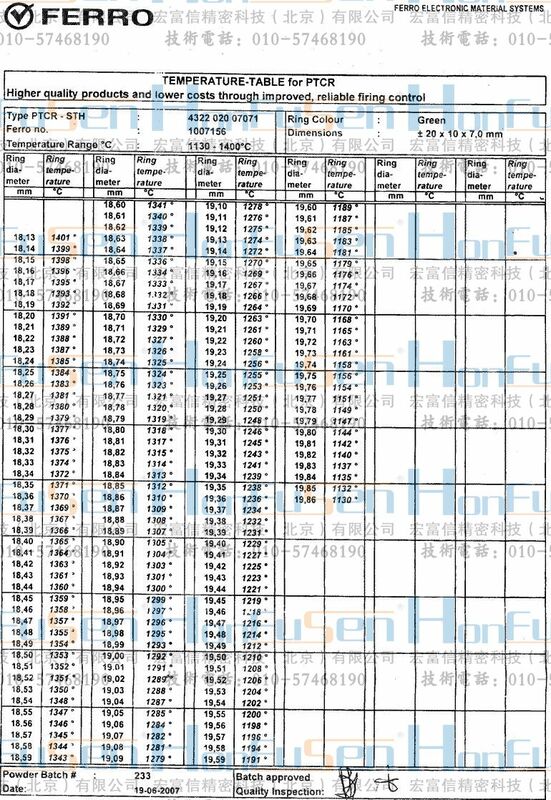 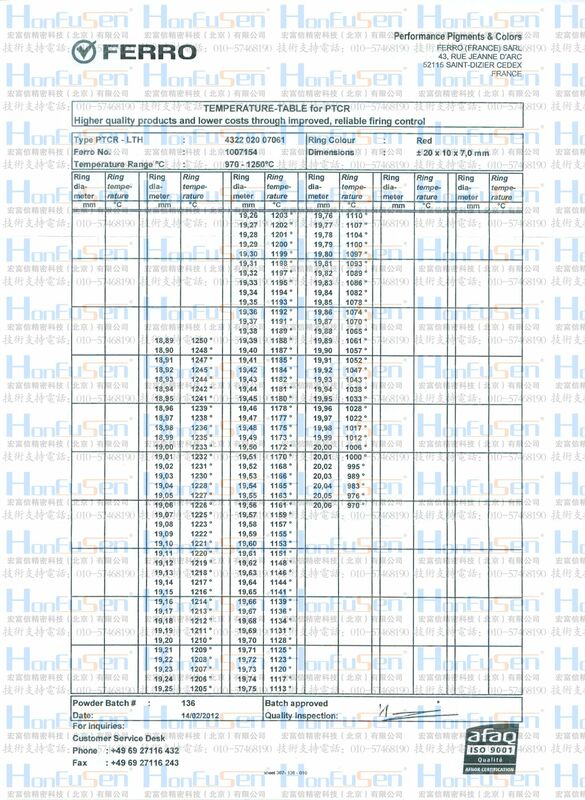 Selecting the most appropriate ring type depends on the process temperature compared to the temperature range of the ring and the maximum hold time, which is typically between 0.5 and 10 hours. 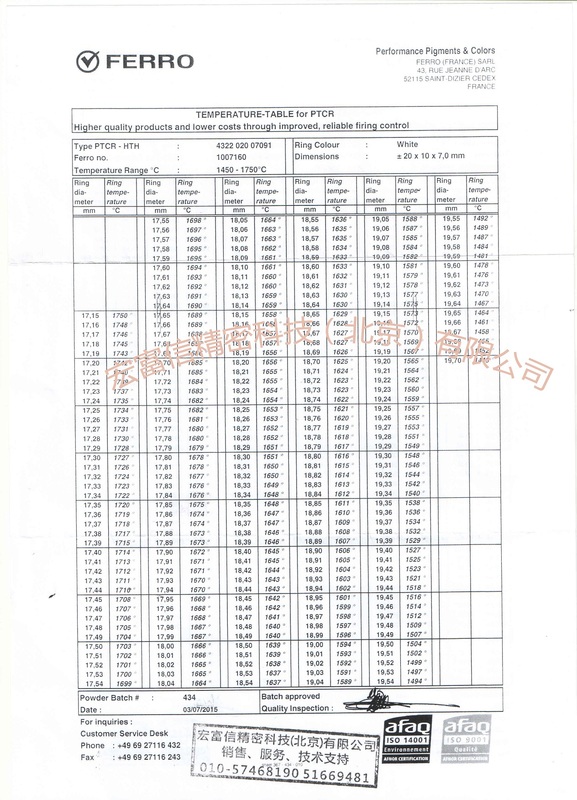 Using the PTCR beyond this maximum hold time may lead to erroneous results, because the PTCR ceases to shrink further on a certain moment.